.BIBLE domain name registry // American Bible Society 719 American Bible Society, has equipped people to engage with God’s word for over 200 years, and has launched .BIBLE—the new not-dot-com for all things Bible online. Your ministry can utilize a .BIBLE website to cut through the clutter and have stronger branding opportunities for donor development, audience engagement and ministry activities online. Visit www.nrb.bible or stop by BOOTH 719. 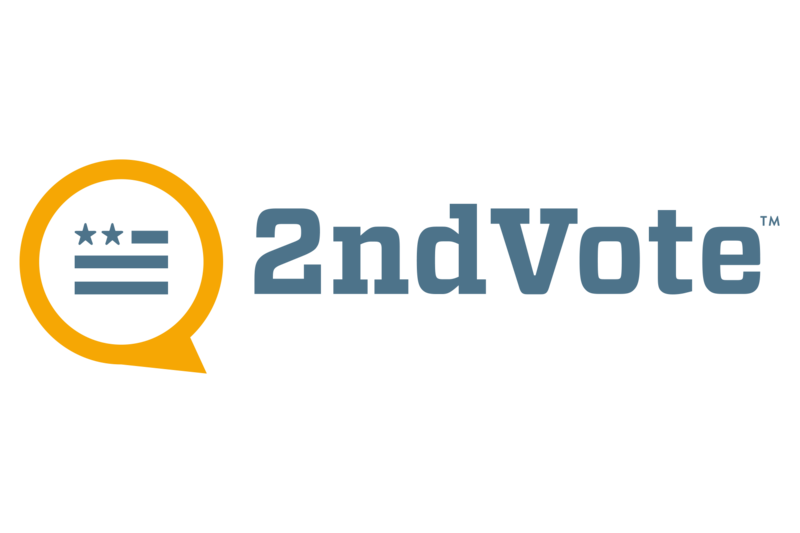 2nd Vote 123 As the conservative watchdog for corporate activism, 2ndVote exposes the corporations and organizations funding liberal advocacy. By putting big business on watch through our extensive research on the most important issues of the day, our mission is to expose the corporate influence on matters of culture and policy and turn the tide on the attacks on conservative values and principles. Aberdeen Broadcast Services 142 Aberdeen Broadcast Services has been a proud member of National Religious Broadcasters since 2001 serving ministries large and small. 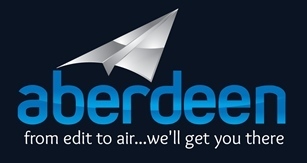 From their humble beginnings to over 50 team members strong, Aberdeen has branched out from being just a Live and post-produced FCC compliant closed captioning company to much more - providing not only closed captioning, but multi-language translation, subtitles & voice-over, and delivering broadcast-ready custom-transcoded files to TV stations worldwide. Adult and Teen Challenge 424 Adult and Teen Challenge exists to help people find freedom from addiction. Our approach is simple. We believe that a spiritually broken person is at the heart of how life-controlling problems or addictions develop. Our task is to help them find freedom through Christ, to provide Biblical studies and a safe place where they can find the healing they need. We want to provide access information to share with those whom you encounter that could benefit from the services that Adult and Teen Challenge provides. The duration for most residential Adult and Teen Challenge programs is a year or more. Our faith-based programs are unique and each has its own application process, financial policies, and admissions procedures. To find the right Teen Challenge program for someone, go to our website at TeenChallengeUSA.com or give us a call at 417-581-2181. 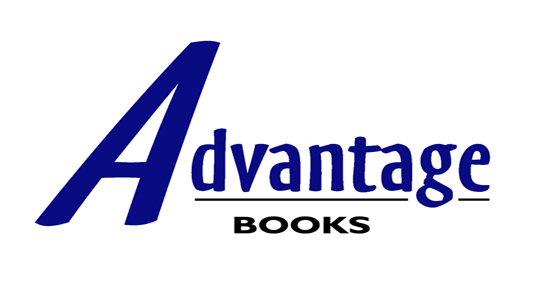 Advantage Books 629 Advantage Books is a Christian owned and operated royalty-based publishing company. We utilize the latest publishing technologies to create paperbacks, hardcovers, Apps, and eBooks that are available anywhere books are sold. Current Print distribution: Australia, Brazil, China, Germany, India, Italy, Poland, Russia, South Korea, United States and the United Kingdom. Apps and eBook distribution in 51 countries around the world. We specialize in publishing Pastors and Christian leaders in all publishing categories. AM Digital 110 AM helps churches and ministries transform lives through integrated branding, marketing and technology solutions. We bring clarity to the ever-changing digital landscape to move your mission forward. Amazing Facts Ministries 426 For more than 50 years, the international, multimedia ministry of Amazing Facts has been sharing God’s message through television, radio, Internet, publishing, and live events. Our programs—including Bible Answers Live and Amazing Facts Presents—hosted by Doug Batchelor, can be seen and heard on more than 200 stations around the world, including Lifetime, TBN, and SiriusXM. We also operate Amazing Facts TV (AFTV), a 24-hour network on the G-19 satellite. Learn more at amazingfacts.org. 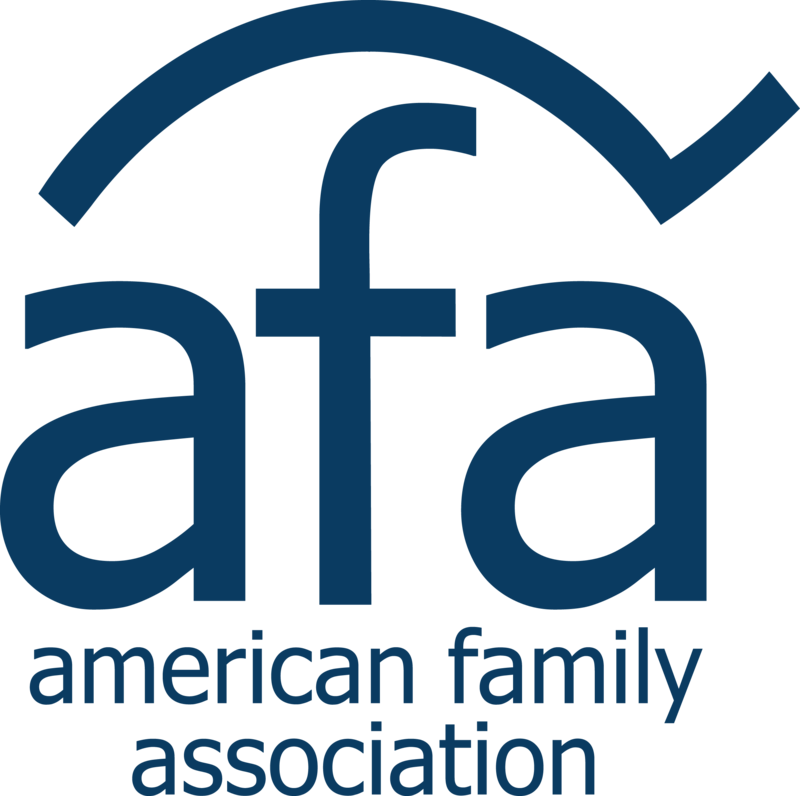 American Family Association 231 faith based pro family organization committed to restoring america to its moral foundations. 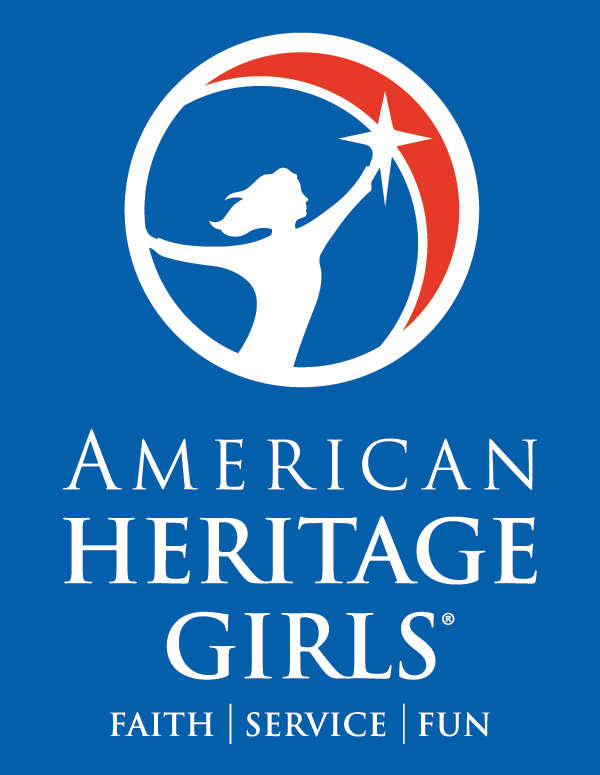 American Heritage Girls 321 Founded in 1995, American Heritage Girls fulfills its mission of building women of integrity through service to God, family, community, and country through a balanced and holistic program. American TeleCenters, Inc. 122 American TeleCenters is a boutique call center with operators standing by 24 hours to take orders, donations and prayer calls for our customers. 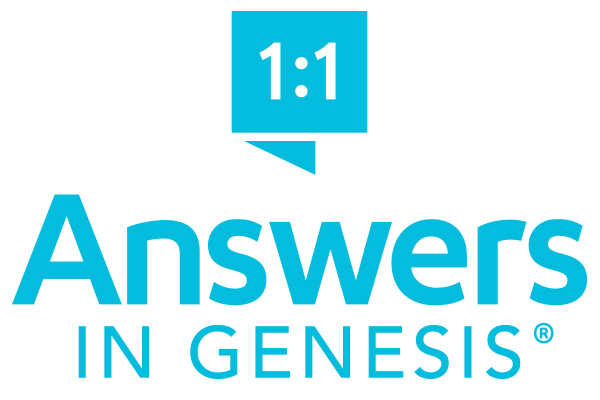 Answers in Genesis 107 ANSWERS IN GENESIS, near Cincinnati, is the world’s largest apologetics ministry with over 900 employees. This non-profit, est. 1994, by Ken Ham, includes a daily radio program heard on over 1,000 stations, award-winning website (www.AnswersinGenesis.org), subscriber-based magazine (Answers Magazine), 70,000-square-foot Creation Museum, and our latest outreach endeavor: Ark Encounter, a Bible-themed attraction that features a life-sized Noah’s ark with three floors covering over 130,000 square feet for exhibits, animal cages, and life like sculptures, etc. Awakening The Nations 224 Awakening The Nations is doing the work of targeting Millennial's who don't know Christ, We are challenging modern day Spiritual, Cultural, and philosophical questions of the day. AWeber 726 AWeber is an email marketing platform that allows 100,000+ small businesses and entrepreneurs to create and send emails people love <3. And by sending emails people love, they're empowered to connect with customers in ways that grow their business. Baker Publishing Group 177 Baker Publishing Group (Bethany House, Revell, Baker Books, Chosen, Brazos Press, and Baker Academic) is a leading producer of Christian resources that give insight and inspiration to readers worldwide. Our divisions reflect the broadest scope of topics which include fiction, self-help, inspiration, professional books, Christian living, thoughtful and academic titles. Beautifully Broken, LLC 130 Session D screening of the film Beautifully Broken, a riveting true story of three families, seemingly worlds apart, whose paths likely would have never crossed. Each family faces a crisis beyond its control, and their decisions set in motion a series of events that lead their lives becoming intertwined. Their journeys reveal the divine tapestry of God’s love and guidance, where they learn first-hand the power of forgiveness and reconciliation. 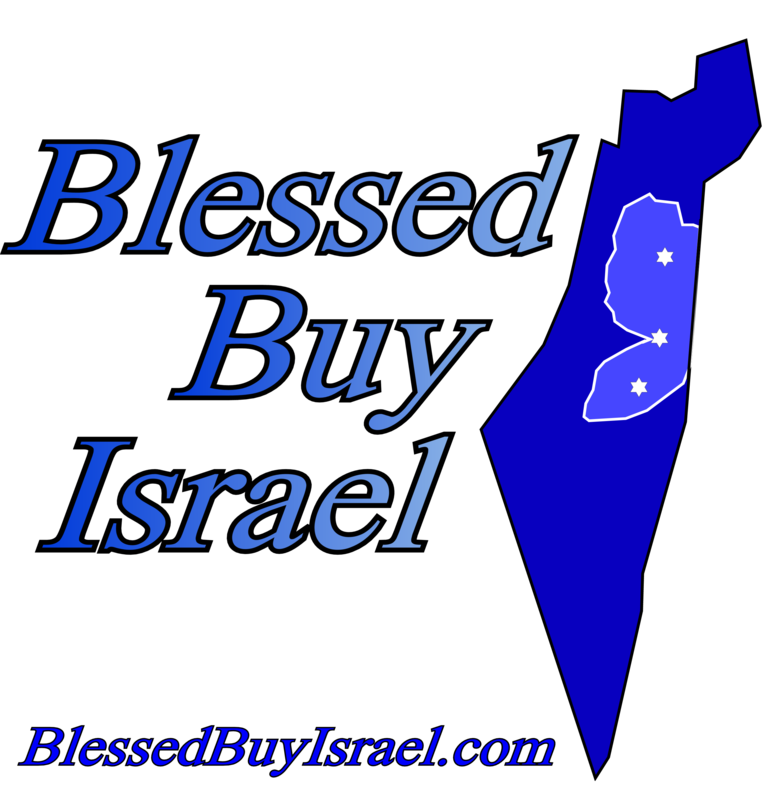 Blessed Buy Israel 232 Blessed Buy Israel is providing a way for people around the world to Stand with the Jewish people in Judea and Samaria and enabling them take part in the restoration of the land God has promised them. This is accomplished through the building of relationships with families and businesses in Judea and Samaria, working with them to develop their products for export and providing a platform for their sale in the United States. Blubrry Podcasting 626 Blubrry is a podcasting community and directory with more than 450,000 shows. Founded in 2005, Blubrry gives creators the power to make money, access to detailed audience measurements and the enhanced abilities to host audio, video and websites. Whether you are a media creator, advertiser or media consumer, Blubrry is your digital media interface. 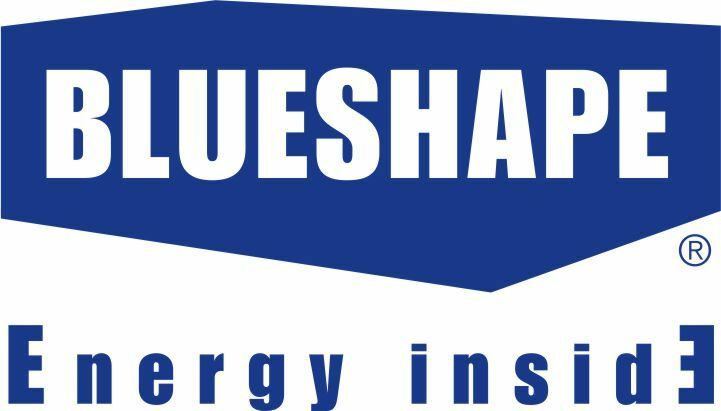 BLUESHAPE USA 155 BLUESHAPE is a European manufacturer of professional video power and accessories for cameras, lighting and auxiliary uses. BLUESHAPE is known for high quality and leading technological answers to the needs to professional cinematographers, videographers and broadcasters. 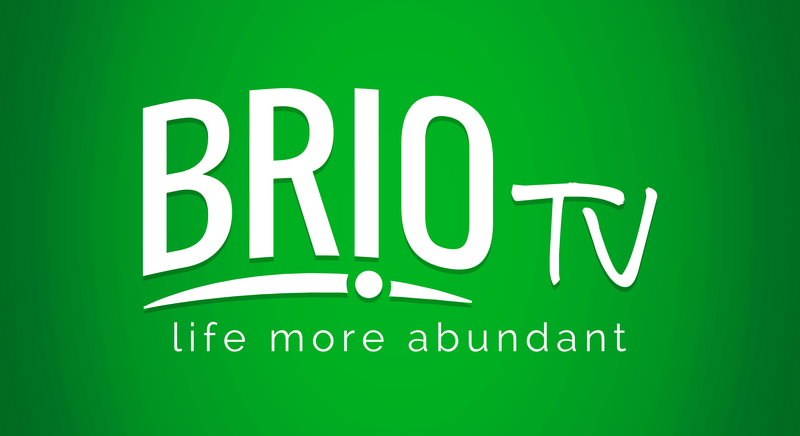 Brio TV 276 Brio Media is an On Demand family friendly, inspirational network. Brio programming informs, enhances, inspires, and connects you to storylines that spark positivity. We understand viewers have access to entertainment like never before, but what if they had access to programs that impact how they live? This is Brio Media. Living empowered through content that cultivates all that is abundantly beautiful in life. Broadcast Electronics 623 Established in 1959, BE is the world’s leading radio-only equipment manufacturer and currently provides award winning FM and AM transmitters, equipment, AudioVAULT studio automation, Marti Electronics STL and RPU solutions, and Commotion™, a social media, advertising, and listener interactive solutions company. Broadcast Software International 329 Thousands of broadcasters around the World rely on BSI every day for their radio automation software, play out and multi-channel logging / skimming solutions. Developed and supported in the United States by a dedicated team of broadcast professionals, our software has helped BSI become one of the leading suppliers of small, medium and multi-station markets with distributors in every continent. Broadcasters General Store 430 Since 1979, Broadcasters General Store has supplied equipment to the broadcast industry ranging from legendary stations to the smallest facilities. Whether it's a complete studio rebuild or a handful of connectors BGS takes care of everything. Broadcasters General Store knows how to get things done by coordinating the ordering from over 400 manufacturer's products and arranging delivery and staging of projects through reputable installers to deliver complete systems. 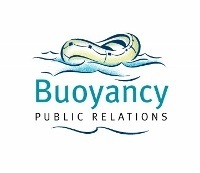 Buoyancy Public Relations 140 Buoyancy Public Relations specializes in serving Christian authors and causes to help them become discovered. 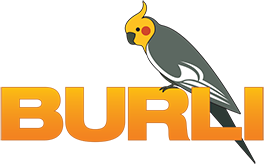 Burli Software Inc 225 Burli Software is a global leader in newsroom software. Capture, edit, and publish your news, all in a single environment, and speak to your audience via radio, TV, social media, or online. CARS, Inc. 555 CARS is a California-based nonprofit owned by Jewish Family Services San Diego, a 4-star Charity Navigator rated organization. CARS helps more than 3,500 causes in the US and Canada increase fundraising and acquire new contributors through turn-key vehicle donation programs, including Purple Heart Foundation, Sierra Club Foundation, St Jude’s, Autism Speaks and nearly 200 PBS and joint licensee stations. CARS has returned more than $100-million to its Public Media partners and reinvests in its community by providing tens of thousands of meals and transportation solutions to seniors each year throughout San Diego. Please stop by our booth and say hello! Carta Digital 359 BibleWhere, Carta's comprehensive browser to the Scriptures, provides access to the largest online collection of maps, Bible-related texts, videos, and other documented treasures of the biblical era. 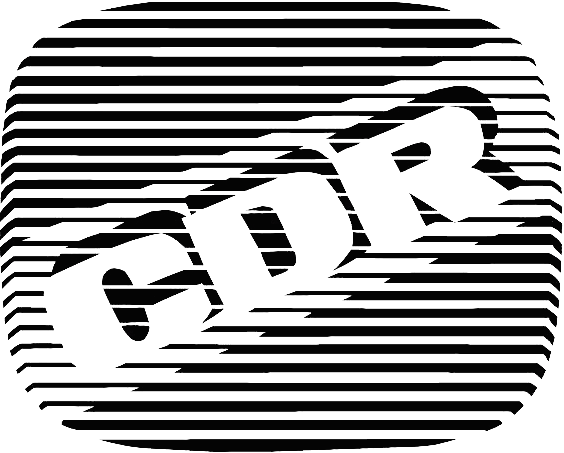 CDR Communications, Inc. 711 For over 35 years, CDR Communications has been serving clients with award-winning productions! Our latest documentary, Climate Hustle, was number in 400 theaters. CDR has produced thousands of products over the years, one of our latest was the feature film, “For the Glory” which is currently being distributed around the world. Our professional staff works with high end motion graphics, animation, music, and celebrity talent in order to effectively and creatively touch audiences. 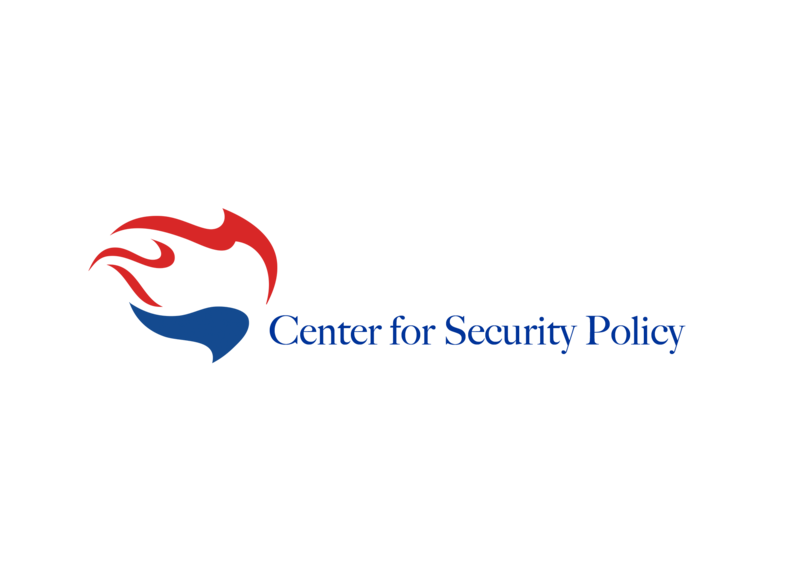 Center for Security Policy 247 For thirty years, the Center for Security Policy has pioneered the organization, management and direction of public policy coalitions to promote U.S. national security. 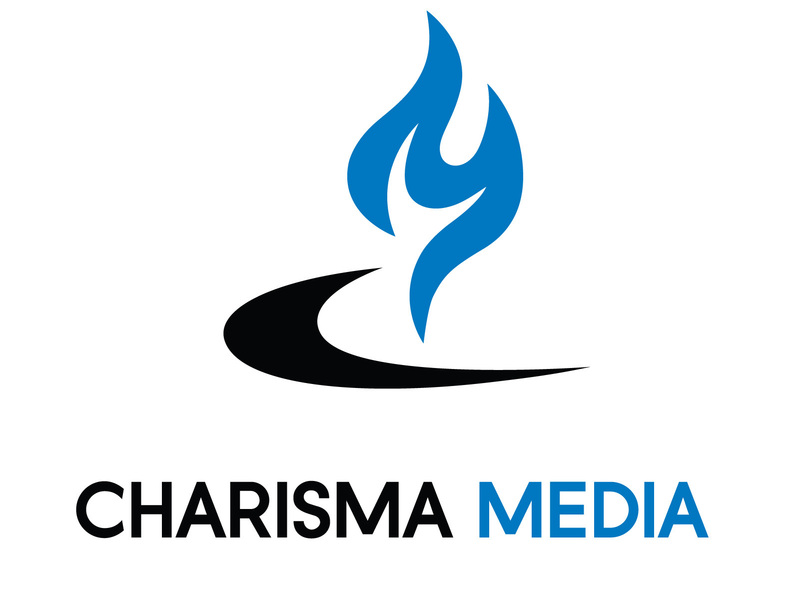 Charisma Media 331 Charisma Media/Charisma House empowers people through Spirit-inspired resources. It is the leading publisher of diversified Christian resources. For more than twenty-one years we have published books including fourteen New York Times best-sellers that encourage and inspire to fulfill God's purpose. Chosen People Ministries, Inc. 274 Chosen People Ministries exists to pray for, evangelize, disciple, and serve Jewish people everywhere and to help fellow believers do the same. Founded in 1894 in Brooklyn, NY, Chosen People Ministries serves in eighteen countries. 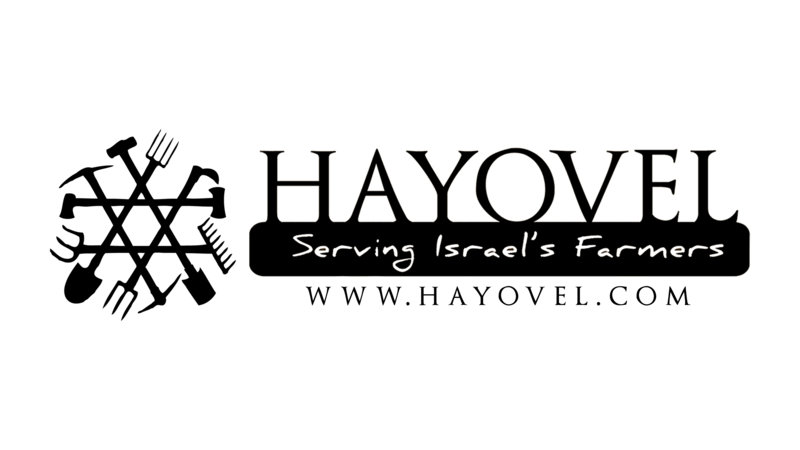 Outreach programs include evangelism and discipleship, Messianic Centers and congregations, equipping the local church for Jewish evangelism, digital evangelism through our Isaiah 53 Campaigns and I Found Shalom videos, and benevolence work. Christian Care Ministry 607 Christian Care Ministry is a community of believers committed to connecting and equipping Christians to share each other's everyday burdens through the sharing programs we offer such as Medi-Share. Christian FM Media Group 328 Christian FM Media offers programming solutions for stations looking to keep their overhead costs down but not sacrificing quality. Christian FM Media can help you succeed let us show you how we can help you win. Christian Healthcare Ministries 237 Christian Healthcare Ministries is a biblical health cost sharing ministry that’s eligible under the U.S. Affordable Care Act (ACA). Members have shared over $2.5 billion of each other’s medical burdens while satisfying their own healthcare costs. 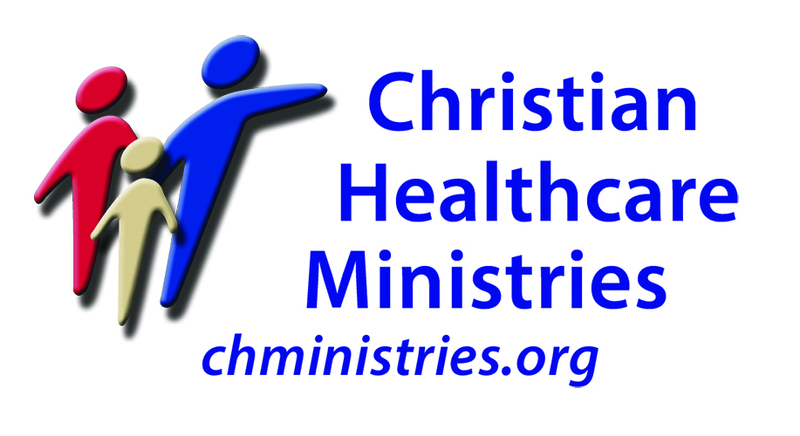 Founded in 1981, CHM is the first cost sharing ministry to earn the designation of a Better Business Bureau Accredited Charity, share for pre-existing conditions and the only one heard on The Dave Ramsey Show. Christian Media & Arts Australia 345 Christian Media & Arts Australia creates agency for the exploration and engagement of Christ and the Christian Story. We develop and nurture greenhouses that empower and support member organisations as they explore and seek ways to communicate and help Australians discover Christ within their sphere of influence – media and arts. Christian Small Publishers Association 272 Christian Small Publishers Association (CSPA) represents, promotes, and strengthens small publishers and independently published authors producing materials for the Christian marketplace. Our members produce timely and unique Christian literature. 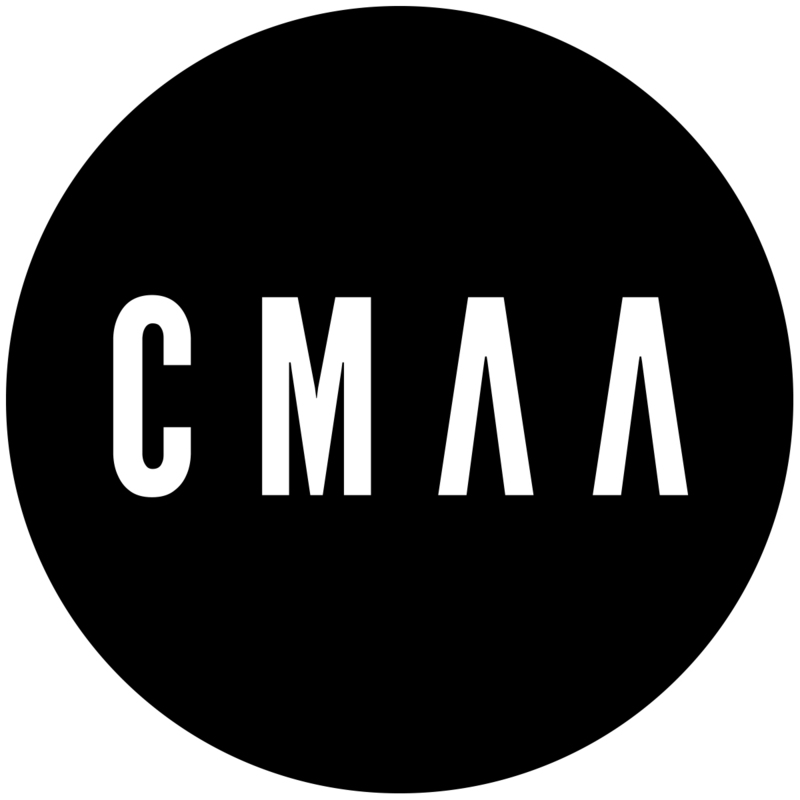 CSPA is also the sponsor of the Christian Indie Awards. 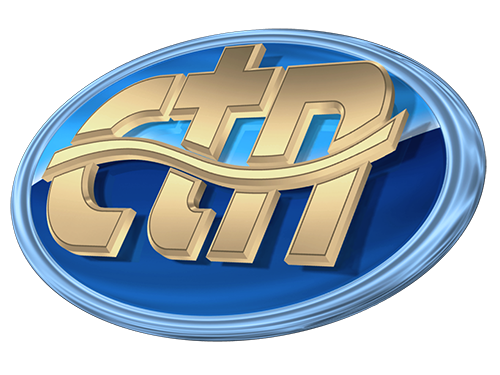 Christian Television Network Corp. 308 Christian Television Network (CTN) Televising quality, award winning programming for the whole family since 1979. 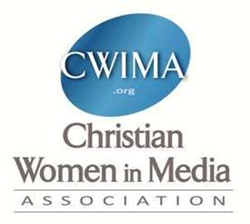 Christian Women in Media Association 622 Founded by Suellen Roberts, The Christian Women in Media Association (CWIMA) is a movement of women who are influencing culture through media and is dedicated to connecting women in purpose and vision. With a national platform focused on advancing Christian women in media, our members work in Television, Radio, Internet, Film, Publishing, Music, and Arts and Entertainment. Our organizational framework promotes and provides opportunities for inspiration, equipping and connecting. CNLTV 650 Russian and Ukrainian Christian Television broadcasting worldwide through satellite, cable and internet. Translation services available from English at cost price. 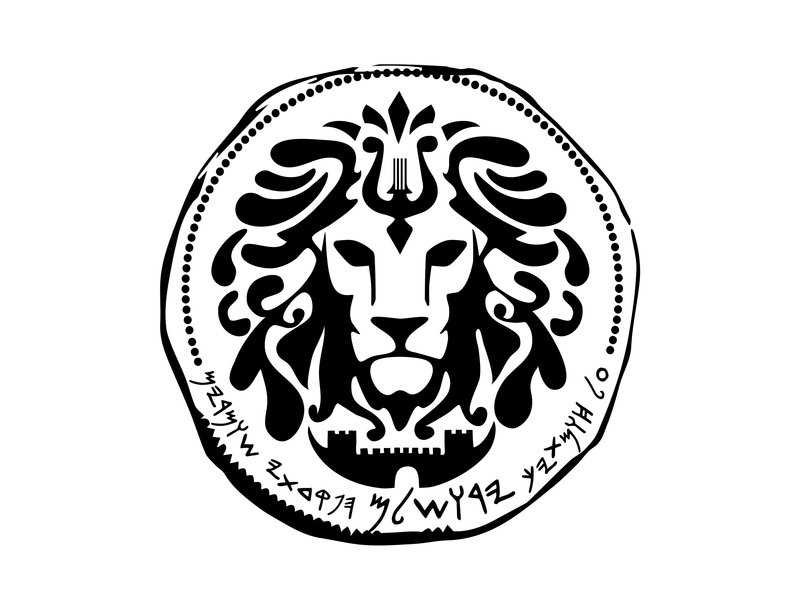 We will work with you to place your programs in all the countries of the former Soviet Union. COICOM 256 COICOM is an association gathering thousands of Christian communicators and top Christian leaders from over 20 nations in Latin America. These conventions take place in different countries each year and are the ideal meeting place for Christian communicators, broadcasters of every type of media, businessmen, pastors and leaders from the whole continent. Our conventions serve to equip, train, mobilize, motivate and challenge participants to take the Gospel to the ends of the earth. Community Television, Inc./WATC TV 120 WATC TV offers a mix of family, Christian and educational programming to Atlanta, Georgia and beyond. Original programming includes the flagship program Atlanta Live, Babbie's House, Friends & Neighbors, This Day, Enjoying Life, Gospel Music USA, Magnify and On The Move. For more information on WATC and digital subchannel WATC TOO, please visit www.watc.tv. Comrex 351 Comrex designs and builds equipment that uses the most advanced available technology to connect broadcasters with their audiences. We strive to build reliable, user-friendly tools that engineers can trust to work, even during complicated broadcasts. Our goal is to make it easy for broadcasters to create the programming they care about. ComunicadoresUSA 258 ComunicadoresUSA is a non-profit organization founded by NRB members and other professionals to serve the nation's Hispanic communicators following NRB's example. Our vision is to create "transformed communicators who will transform their communities". Cross Media/Lightcast.com 545 Lightcast.com is a premium OVP & global CDN provider, delivering bitrate adaptive live-streams, on-demand media and linear 24/7 streams at transparent and budget-minded rates for publication on websites, social sites, mobile apps and OTT/ConnectedTV. The LightcastOVP encompasses all necessary transcoding, DRM, APIs, viewership analytics and content management features in an intuitive publishing suite, providing monetization tools and viewer-response systems to maximize growth. Ask us about our Foundation-Grants for Roku, FireTV, AndroidTV and AppleTV. Crossflix, Inc. 727 Crossflix is a Christian Entertainment Digital Television Network. It is the go to Channel for Christian Entertainment, Education and Inspiration. Crossflix offers its members the Best Christian Movies, it offers them one of the largest collections of Christian Documentaries and has animated educational programming for children. 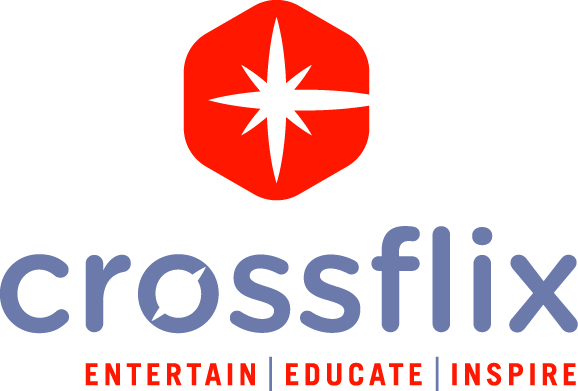 Crossflix also produces its own content like the Crossflix Living Bible Series which consists of 50 Educational Episodes of the Bible. Crossway 323 The purpose of Crossway has been, from its founding as a not-for-profit ministry in 1938, to publish gospel-centered, Bible-centered content that will honor our Savior and serve his Church. We seek to help people understand the massive implications of the gospel and the truth of God’s Word, for all of life, for all eternity, and for the glory of God. 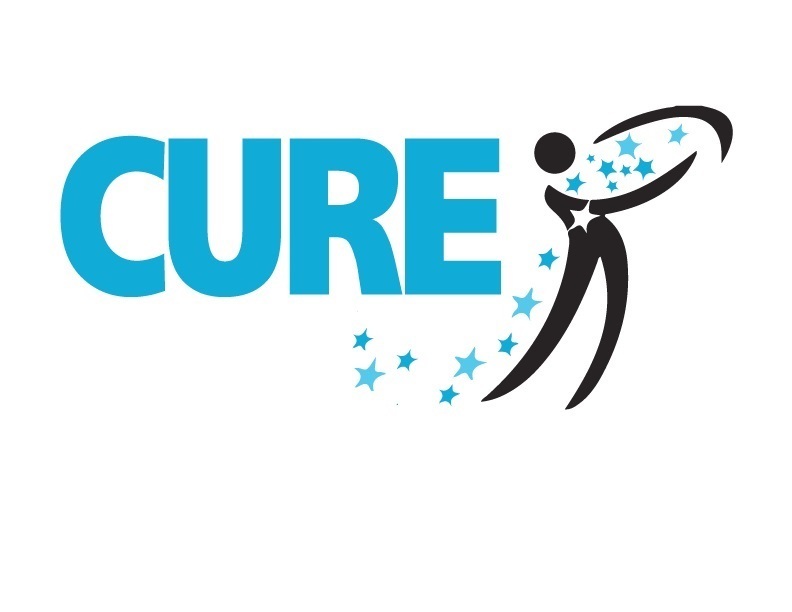 CURE 217 CURE Fight poverty and restore dignity through the message of faith, freedom and personal responsibility. CURE'S Media Center addresses the issues of race, poverty, and culture from a Judeo-Christian perspective. Dielectric 725 Based in Raymond, Maine, Dielectric LLC is a wholly owned subsidiary of Sinclair. Dielectric is a leading provider of innovative broadcast products. From remote stations to major markets, Dielectric has been delivering solutions for every need since 1942. Dielectric is an innovative, customer-centric organization with a long history of engineering excellence in designing and manufacturing high-quality broadcast solutions. The Company is a trusted partner of broadcasters worldwide. 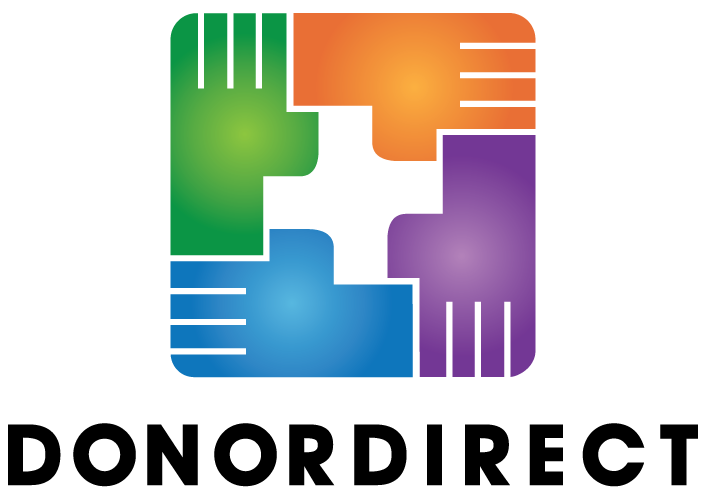 DonorDirect 320 DonorDirect provides donor management software and services to ministries and nonprofits. 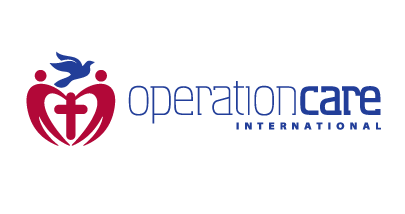 Their products give customers the ability to connect with donors, coordinate events, manage large volunteer communities, facilitate child sponsorships, and more. Customers include well-known ministries such as Focus on the Family, Samaritan’s Purse, TBN, Joyce Meyer Ministries, Turning Point, and In Touch Ministries. Douglas Shaw & Associates, Inc. 537 Douglas Shaw & Associates offers inspired fundraising solutions for broadcast and other ministries. With our proven Donor-Focused Strategic Marketing™ approach, we build relationships that generate measurably higher levels of giving through diverse channels including direct mail, digital, email, and broadcast. The end result is More and Better Donors to change the world for good. Empowered 21 577 Empowered21’s focus is to unite the global Spirit-empowered movement, connecting nations and generations in the 21st century. E21’s Jerusalem 2020 Global Congress will gather representatives from every nation for a historic celebration of Pentecost in the Holy Land. ENCO Systems, Inc. 227 ENCO Systems specializes in applying advanced automation technologies to the radio, television, stadium, arena, and retail industries. We’ve developed powerful, sophisticated products with a high level of ease of use, backed up by the finest technical support in the industry. Our products provide the complete solution for reducing your operating costs, protecting your digital content, and ensuring the accurate, reliable delivery of audio content with our highly customizable integrated software and hardware packages. 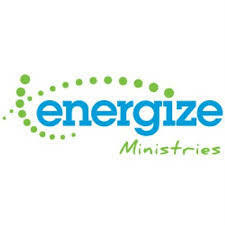 Energize Ministries 800 Energize Ministries Prayer Bus, offering prayer for all during the event. 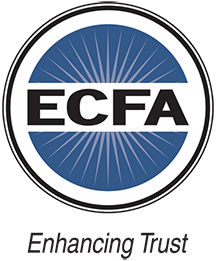 Evangelical Council for Financial Accountability 551 ECFA enhances trust in Christ-centered ministries by establishing and applying Seven Standards of Responsible Stewardship™ to accredited organizations. ECFA provides accreditation to organizations that faithfully demonstrate compliance with established standards for financial accountability, transparency, fundraising, and board governance. 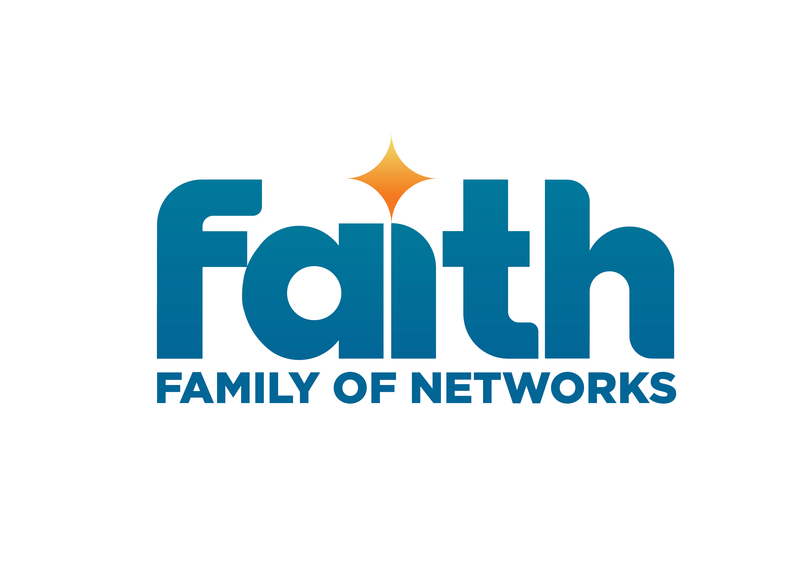 Faith Broadcasting Network 451 The Faith Family of Networks is one of the world’s fastest growing television networks. It consists of Faith USA, Faith Africa, Faith Terrestrial, Flow TV UK, and Flow TV Africa. We broadcast worldwide via Apple TV, Google, TV, Android TV, and Roku. The Faith Broadcasting Network App for smartphones is available on all Apple and Android devices. To join our family visit us at booth 451, or go to www.myfaithtv.com. Faith Radio 621 Faith Broadcasting is a network of 8 Christian FM outlets headquartered in Montgomery, AL, and serving sections of Central and South Alabama, Northwest Florida, and Southwest Georgia. It is also heard online at www.faithradio.org. Bob Crittenden of The Meeting House, heard weekdays from 4-6pm CT, is on location to record interview content. 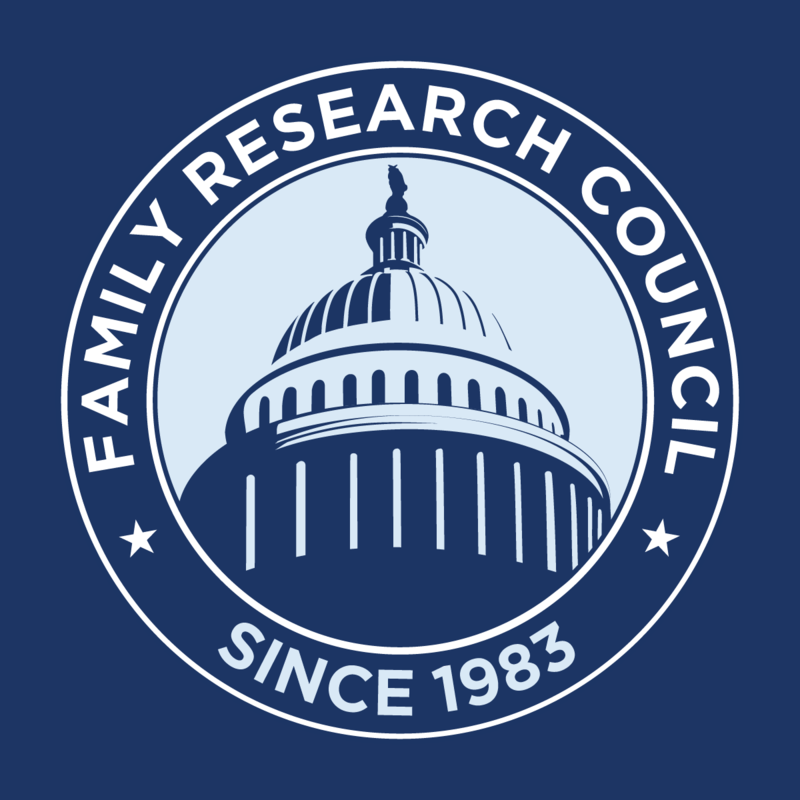 Family Research Council 316 Washington Watch is a daily program hosted by Family Research Council President Tony Perkins that covers the issues of faith, family and freedom. Tony is your leading source for what is really happening in our nation’s Capital. You’ll hear daily insight from leading political figures and culture warriors who will inspire you to be engaged and informed on the important issues facing America. Far East Broadcasting Company 220 Far East Broadcasting Company (FEBC) is a global Christian broadcast ministry that develops and delivers programs to listeners, introducing them to Jesus Christ and providing discipleship to millions of listeners in mega cities, rural areas and remote village around the world in both major and ethnic languages. 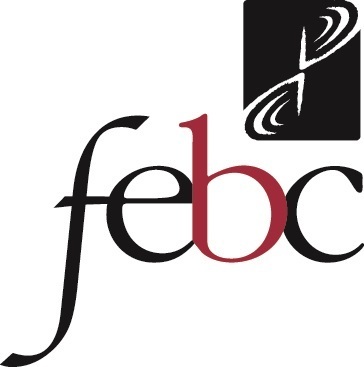 FEBC currently produces over 800 hours of programming a day in more than 100 languages and reaches a potential audience of 3 billion of the world’s population. Fellowship of European Broadcasters 118 FEB is an International Fellowship, connecting, serving and representing Christian Organisations and Individuals involved in Communications and Broadcasting throughout Europe. FEB encourages co-operation and networking between Christians in the Media. Chairman and Lobbyist, Harvey Thomas CBE, represents FEB on media issues including Online Safety, at the European Union. FEB provides a forum for the exchange of news through "Snippets" (4,500+ circulation). It also creates opportunities for joint ventures and training. Float Left 557 Float Left Interactive is an award-winning technology company helping faith broadcasters and ministries transition to digital distribution through high-quality OTT and TVE experiences. Friends & Heroes Productions Ltd 259 Friends and Heroes reaches a new generation of media-savvy children from all over the world with important stories of the Bible in a format they love – TV. Thrilling adventures stories in hand-drawn animation place stunning computer-animated Bible stories in a vivid historical context. 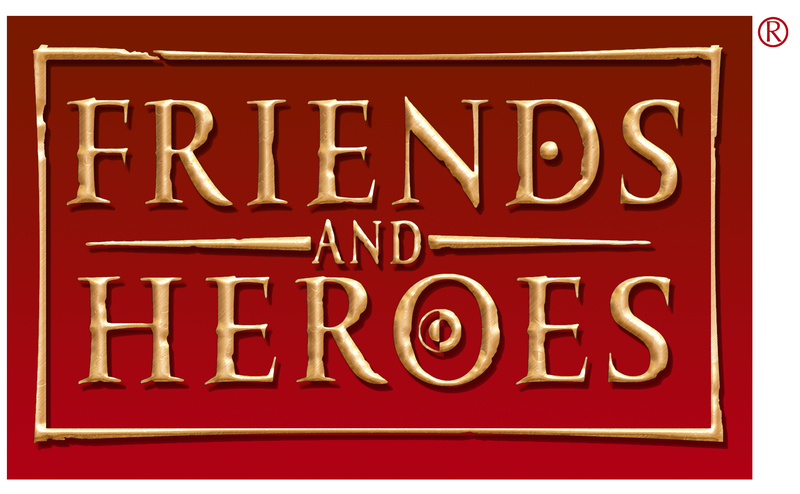 The Friends and Heroes project includes 39 episodes of 26 minutes each divided into three series. All the episodes have dramatic soundtracks and subtitles in English plus 12 other languages. 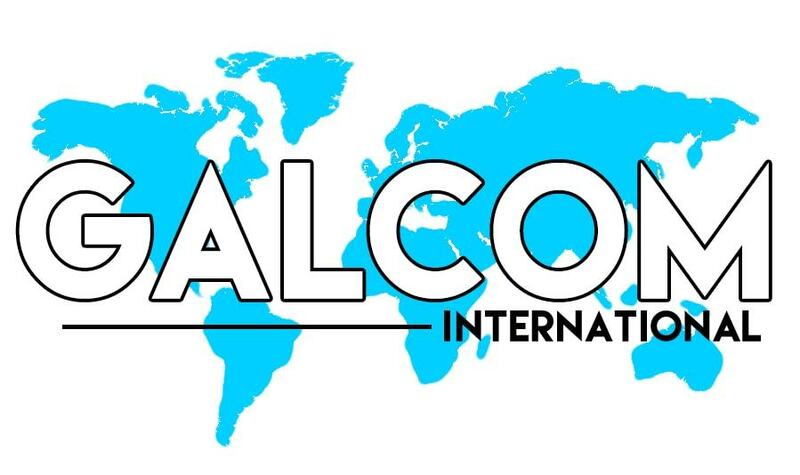 Galcom International 506 Providing durable audio and technical equipment to multiply missionary impact worldwide. 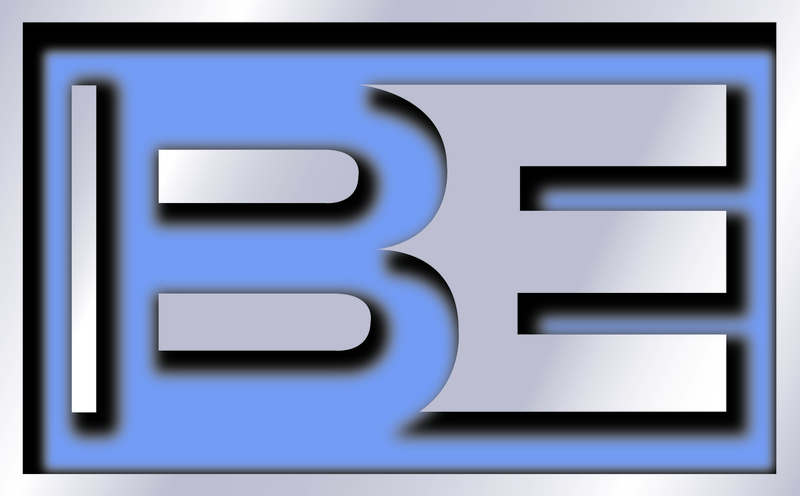 GCN Broadcasting, Inc. 437 GCN is an evangelical Christian television ministry founded by the will of God for His glory and its mission is to spread the Gospel to all people across the globe. 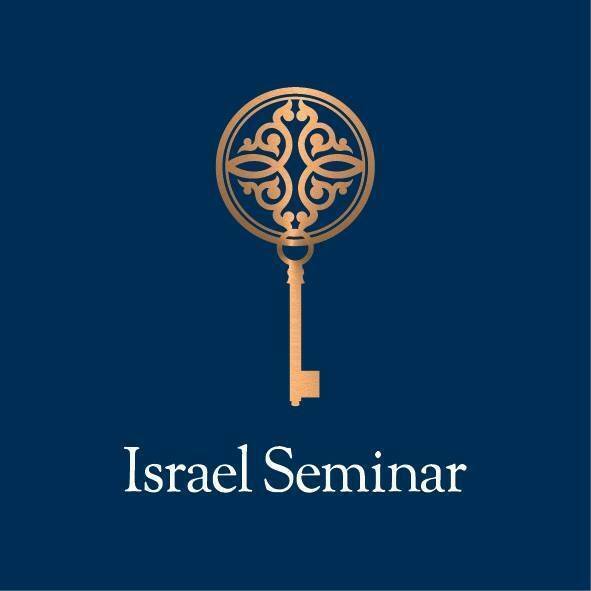 Genesis Tours 457 Genesis Tours is one of the leading incoming tourism agencies in Israel, serving Christian audiences from around the world and specializing in inspirational, educational, and life transforming travel plans to Israel, the Middle East, and other nation. Global Ministries Foundation 416 Founded by Richard L. Hamlet in 2003, as a holistic relief and development organization, GMF is focused on sponsoring gospel centered ministries in over 30 countries. In doing business as missions, the urgency of showing God’s love in the workplace became evident. That’s when GMF’s radio ministry was developed entitled, Ministry in the Marketplace. Each week, MITM digs deep into God’s word while featuring inspiring stories and ways to minister in your marketplace. 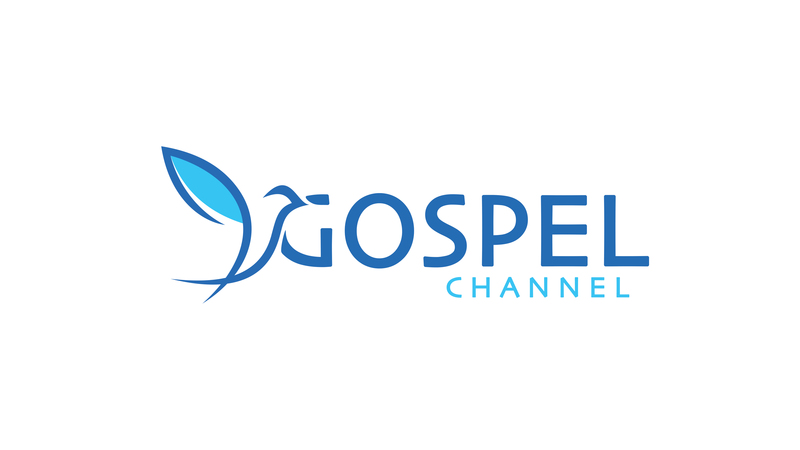 Gospel Channel 138 The Gospel Channel, founded in 1992 by Erik Erikson, broadcasts leading American and local Christian television ministries to 50 million households in Europe via satellite, cable and terrestrial broadcast. Our mission is to proclaim the Gospel of salvation to all nations through television and bring people closer to God with the saving knowledge of Jesus Christ by the power of the Word of God and the Holy Spirit. Gospel Channel, Grensasvegi #8, 108 Reykjavik, Iceland. HarperCollins Christian Publishing 133 We inspire the world by meeting the needs of people with content that promotes biblical principles and honors Jesus Christ. 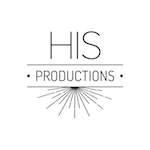 His Productions 175 His Productions specializes in radio production, video production, branding, web design, voice over, and much more. We do all of this from a Christ centered perspective. We've been serving the Body of Christ for nearly 18 years. HisAir.net 222 HisAir.Net is an online industry trade publication serving Christian Radio. The most cost effective way to reach Christian radio is with HisAir.Net. 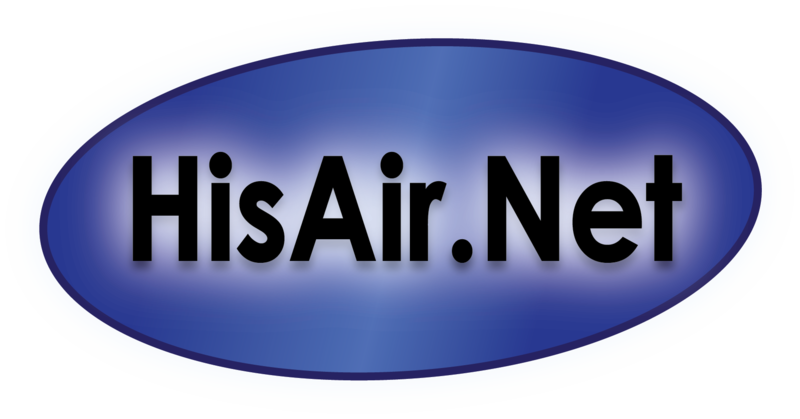 Since 2002 HisAir.Net has become the number one destination for Christian Radio Program Directors, Music Directors , Asst. Program Directors, Air Talent and General Managers for jobs, ideas, industry news and more. Holy Places Productions 250 In an age of curiosity about the origins of civilization, and the growth of religious devotion, HOLY PLACES PRODUCTIONS wants to share with the world the emotion that one can experience at the sight of religious monuments created by man, more than two thousand years ago. HOLY PLACES PRODUCTIONS has created a series of documentaries in stunning 4K on the Holy Places that will take your breath away. IMOT 475 The Israel Ministry of Tourism is an economic ministry, whose primary aim is to increase economic activity. The ministry is responsible for the planning, development and marketing policies in the tourism industry. The ministry has defined its goals to increase internal tourism and to focus on overseas marketing in target countries and sectors that could drive incoming tourism. In your Corner Ministries 121 In Your Corner is media ministry dedicated to carrying the gospel around the world. Indivisible Productions, LLC 134 Suretone Entertainment, Indivisible Productions and Film Incito have partnered on the motion picture "ONE NATION UNDER GOD", a film that will inspire audiences to rise up and take a stand for their political and personal beliefs. Inspiration Cruises & Tours 575 Inspiration Cruises & Tours is a Christian travel management company specializing in group travel experiences for Christians since 1981. As seasoned travel advisors, we’ve partnered with over 600 ministry and church leaders to prepare once-in-a-lifetime Christian cruises, tours and conferences for like-minded people to get away and meet God in a unique setting. We care deeply about your travel experience and have a reputation for going above-and-beyond to make sure every moment is exceptional. iPray 716 iPray is a social media platform that exchanges prayers keeping people engaged with God, the people they care about, and the ministries they believe in. iPray is a prayer based social media platform designed to restore meaningful relationships with God, each other, and the ministries people believe in. Israel Seminar 672 Israel Seminar is a full-service luxury and educational travel company dedicated to designing and directing world class, spiritually uplifting journeys. Storytellers by nature, and driven by our deep passion for Israel, we create life-changing experiences that weave Israel’s stories into those of our guests. Our custom-designed tours – whether focused on the Jewish roots of Christianity or the breathtaking beauty of the land of Israel – will enrich your audiences forever. Jesus Cares Ministries, Inc. 254 Courageous! Fearless! Uncompromising! God called JESUS CARES MINISTRIES INC. Foreign Missionaries Martin and Catherine Lombardo back to the USA from Rome, Italy to proclaim "God says: Marriage One Man One Woman" in the streets and churches in all 50 states. Carrying God's Word on MARRIAGE from Genesis to Revelation to the President, Congress, state and local governments, colleges, high schools, grammar schools and to the people of the USA. Joy in Jesus Ministries 117 Helping church and Christians with evangelism by providing programs especially "The Nathanael Project." Liberty Counsel & Covenant Journey 330 Liberty Counsel is an international nonprofit, litigation, education, and policy organization dedicated to advancing religious freedom, the sanctity of human life and the family, and is an advocate for Israel with affiliated ministries, including Christians in Defense of Israel and Covenant Journey. 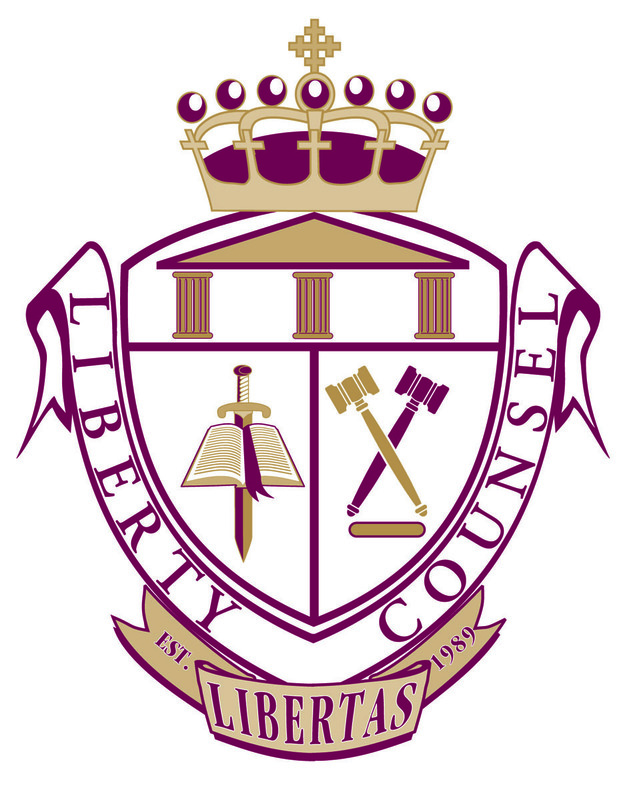 Aired on over 500 stations, Liberty Counsel produces two daily radio programs, a 60-second Freedom’s Call and an 11-minute Faith & Freedom which are available through Amb-OS or online at LC.org. Liberty HealthShare 407 Liberty HealthShare is a 501(c)3, non-profit Christian ministry that facilitates the sharing of eligible medical costs between members. Our members are like-minded individuals who have voluntarily agreed to be accountable to one another in the way they steward their health and the finances of the community. We emphasize personal responsibility and freedom from a bureaucratic approach to healthcare costs. Liberty HealthShare members are exempt from the ACA’s individual mandate. LibsynPro 620 LibsynPro offers the fastest and most reliable Podcast hosting (99.999% uptime) with industry best statistics (Geographic breakdowns), unlimited uploads, Smartphone Apps (iOS, Android), premium subscription service and multi-destination publishing to iTunes, Google Play Music, iHeartRadio, Stitcher, Spotify, TuneIn, Wordpress, Blogger, Tumblr, Facebook, Twitter and Youtube. Libsyn makes podcasting easy and is used by the biggest names in podcasting including - Joyce Meyer, Dave Ramsey, Kenneth Copeland, GuidePosts, The Weekly Standard, The NFL and over 35,000 other podcasts. Link Electronics 673 Link Electronics products provide access to video and audio communication for the deaf and hard of hearing. Advances in technology coupled with more sophisticated designs have markedly improved the quality of captioning and viewing experience for end users. Link serves broadcasters in the religious, television, municipal, and educational markets, and closed captioning services worldwide. Most equipment is backed by an industry-leading 10-year warranty - all equipment carries 24/7/365 free technical support. 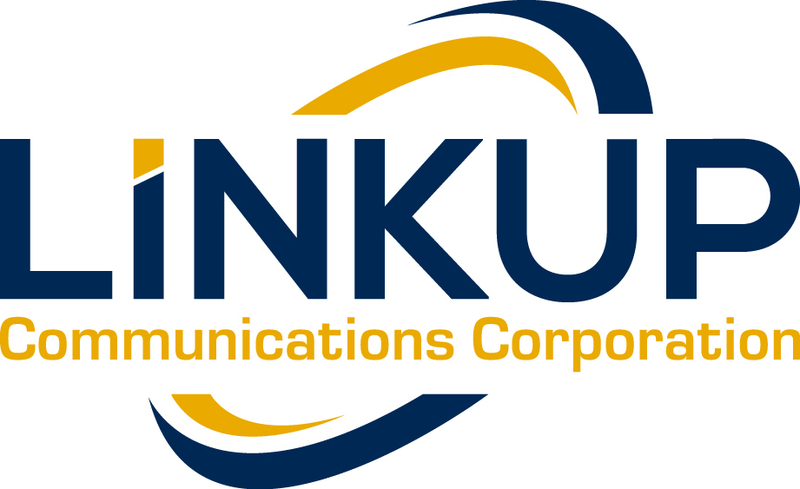 LinkUp Communications 723 Formerly Ka You Communications, LinkUp Communications Corporation is a broadcast technology company that specializes in the design and installation of satellite uplink and downlink networks for radio, tv, and multi-site churches. LinkUp accepts technology challenges that others can not, or will not, handle; working closely with all the major manufacturers to bring only the most innovative satellite equipment to your site. Trust LinkUp Communications for down-to-earth satellite solutions. LMP Productions / Humble Resources, Inc. 900 We are a production company creating entertainment for the masses. Lutheran Hour Ministries 350 Lutheran Hour Ministries is a trusted expert in global media that equips and engages a vibrant volunteer base to passionately proclaim the Gospel to over 70 million people worldwide each week. We work in areas where other organizations are not present and use local missionaries who know the language and culture. Marketing Support Network 322 Marketing Support Network is a full-service contact center providing inbound and outbound customer service and marketing support through phone, live chat, email, and social media. Max Greiner Jr. Designs 617 Internationally collected Artist Architect Evangelist, Max Greiner, Jr. provides Holy Spirit inspired artwork, awards, donor gifts and monumental Christian sculptures. Copyrighted trademarked compositions include Divine Servant, Fisher Of Men, The Great Commission, The Coming King, The Empty Cross, Sword Of The Spirit, Lion Of Judah, Christian Butterfly and Yeshua. Greiner also designs Sculpture Prayer Gardens. Art owned by Presidents, Senators, Governors and stars of business, sports, music, TV and religion. MegaVoice 507 MegaVoice – Proclaiming the Good News for 30 years! As creator of the world's first solar-powered audio Bible, MegaVoice is perhaps best known for partnering with mission organizations to make the Good News accessible to all. Partners can customize an ever-expanding line of solar powered tools. Together, let’s PROCLAIM God’s Word in thousands of languages to those who still need to hear and understand it: across the street and around the world. MemSys - Herlick Data Systems 722 MemSys Membership Fundraising Software has helped donor-supported broadcasters to grow and prosper since 1985, including Loma Linda Broadcasting Network. 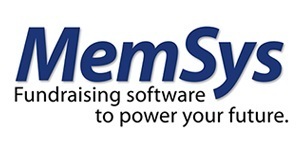 MemSys empowers its users with cost-effective software solutions that support personalized appeals, broadcast and web based pledge drives, special appeals including annual giving and additional gifts, gift processing, market research and major giving customer relations management. MicahTek, Inc. 454 MicahTek is a multi-platform service provider offering call center, fulfillment, information management and digital services to non-profit organizations and for-profit businesses. Moody Publishers 525 Moody Publishers, a nonprofit Christian publishing house founded in 1894 by D.L. Moody in Chicago, has distributed more than 300,000,000 books, spanning from Bible commentary and reference to spiritual and relational growth. Our author partnerships include Gary Chapman, Nancy DeMoss Wolgemuth, Tony Evans, John MacArthur, James MacDonald, Erwin Lutzer, the late A.W. Tozer and many more. All publisher proceeds benefit The Moody Bible Institute, which exists to educate and equip students for Christian ministry. Myers 720 For nearly three decades, Myers has been a pioneer in broadcast management. We support independent multimedia facilities that produce or acquire their own content and who are responsible for managing that content throughout its life cycle. Our software solution ProTrack, is the culmination of a collective focus on producing the world's most capable system -- one that ensures operations are efficient, manageable, and profitable. National Cemetery Administration 655 Government agency that provides burial and memorialization benefits to Veterans and their spouses. 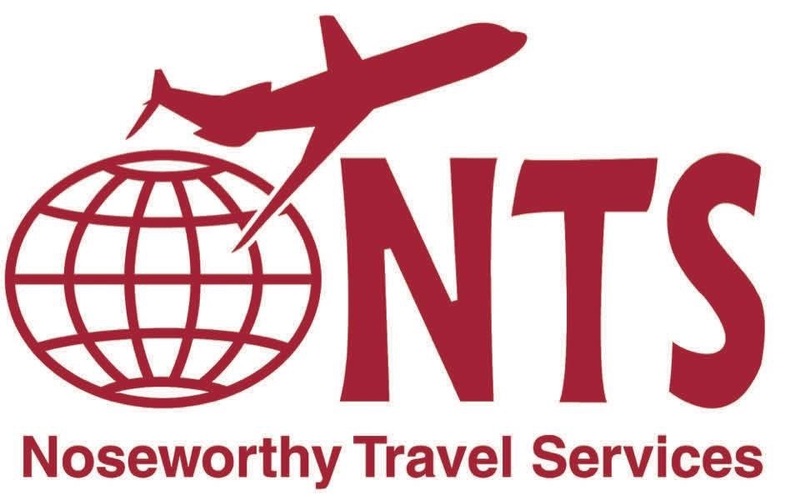 Noseworthy Travel Services 659 Christian Group Tour Operator specializing in Quality Faith Based Travel. Holy Land, Faith Based Cruises and Church Heritage Tours. Notion Digital 627 Notion Digital is a leading Christian mobile app developer whose apps have been downloaded over 5 million times. Our large userbase, technology and marketing expertise has allowed us to create the Notion Ad Network which helps Christian advertisers reach their targeted audience on a performance basis. We work hands-on with all Christian advertisers to create a custom marketing campaign that meets their performance goals. 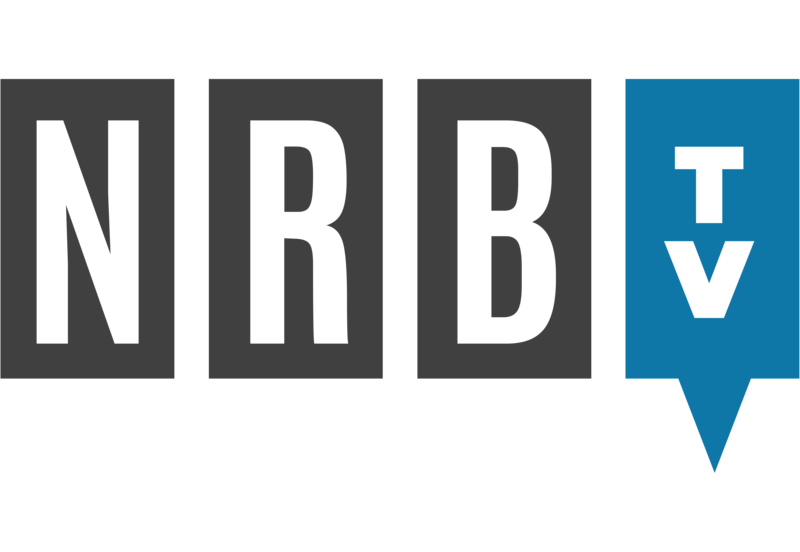 NRBTV 131 NRBTV offers programming unmatched by other Christian channels. With a variety of topics and genres, our programming inspires deep thinking and provides practical tools that helps viewers learn, know apply, and share God’s truth. 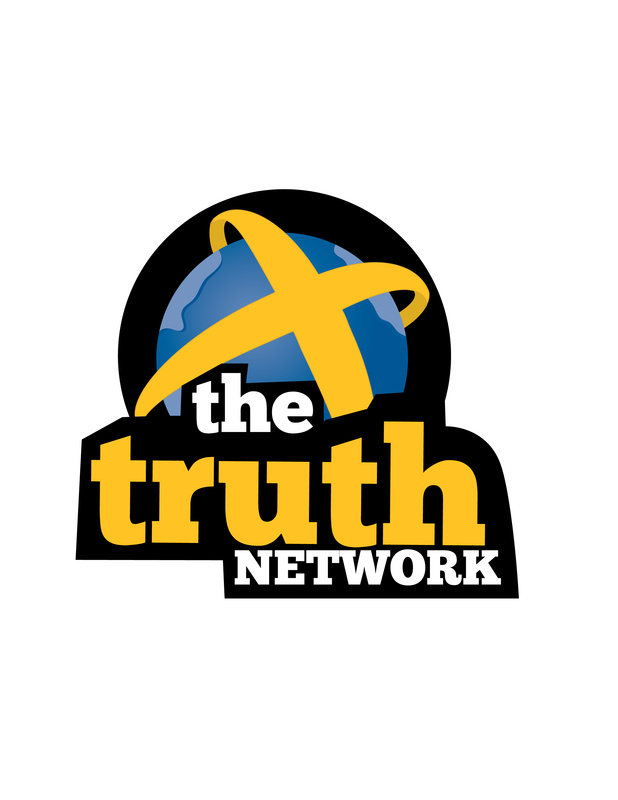 Our objective is to compete not with other faith-based networks, but with educational networks such as PBS, National Geographic, Discovery Channel, A&E and the Travel Channel—from a Christian worldview. OMB America 728 OMB America with office in Miami, Florida, is the marketing and sales division of the Spanish company OMB Sistemas Electronicos. Main product line FM and TV transmitters, antenna systems, STL links, stock of products and parts, technical support and repair station. Operation Care International 624 Operation Care International is a non-profit ministry dedicated to caring for the homeless and impoverished. Since November 1993, founder Susie Jennings and up to 3,500 volunteers have grown from donating 100 new blankets to serving up to 18,000 guests during their annual Christmas event in Dallas. The goal is to expand this celebration to every State in America and to more than 20 countries across the world on December 19 for Christmas Vision 2020. Operation Nehemiah Missions 245 Our Mission The primary Mission of Operation Nehemiah is to rebuild & restore the Biblical family and the Church in the republic of the South Sudan which is recovering from the ashes of war & Islamic persecution through the preaching of the Gospel, promoting sustainable & Biblical stewardship. As Nehemiah 2: 18 says, “Let us rise and build, so they joined their hands together for this good work." 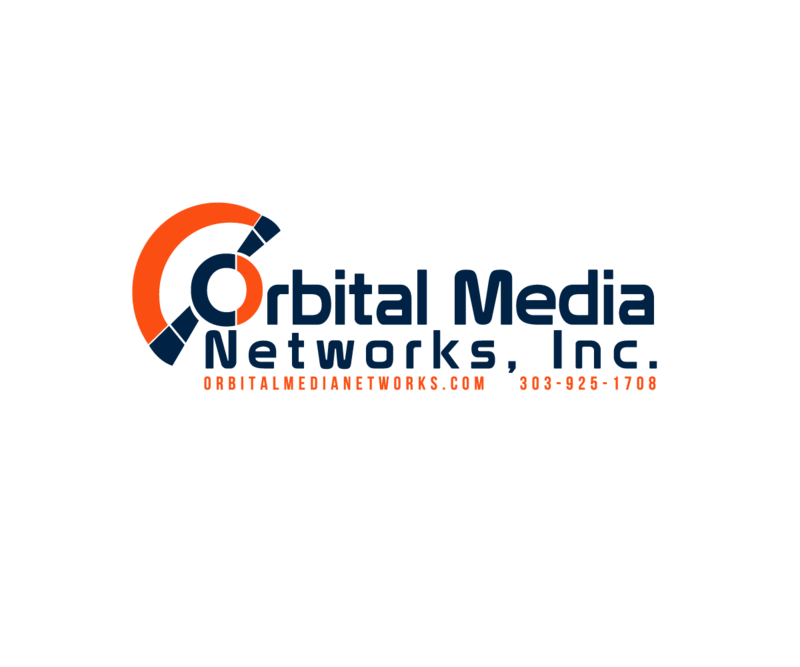 Orbital Media Networks, Inc. 356 Orbital Media Networks and XtremeSat offer radio network distribution via satellite and internet on the XDS platform. In addition, we offer Satellite IP solutions for site monitoring, control and audio backup. Parables and Upliftv 307 Parables is a family and faith digital video streaming service that is edifying, empowering and entertaining, while encouraging faith and elevating family values, featuring a wide variety of faith-based content, including award-winning TV shows, movies, documentaries, available at home or on the go through your favorite Internet-connected devices. 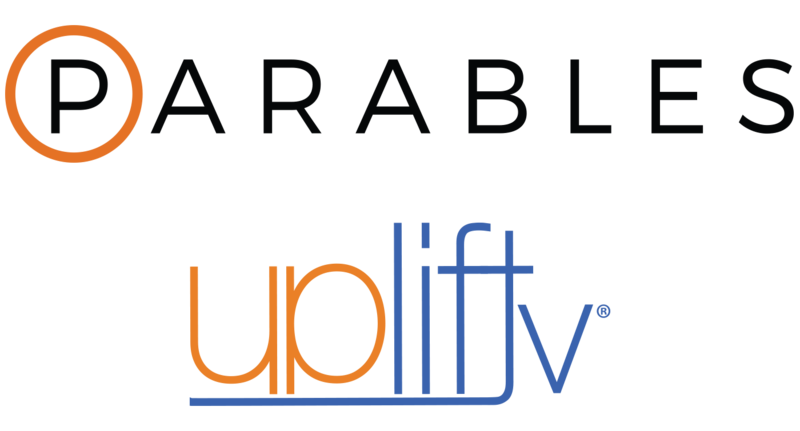 Upliftv, a faith-based network, offers more inspirational movies and documentaries than any other faith channel and includes a variety of ministries and TV series. 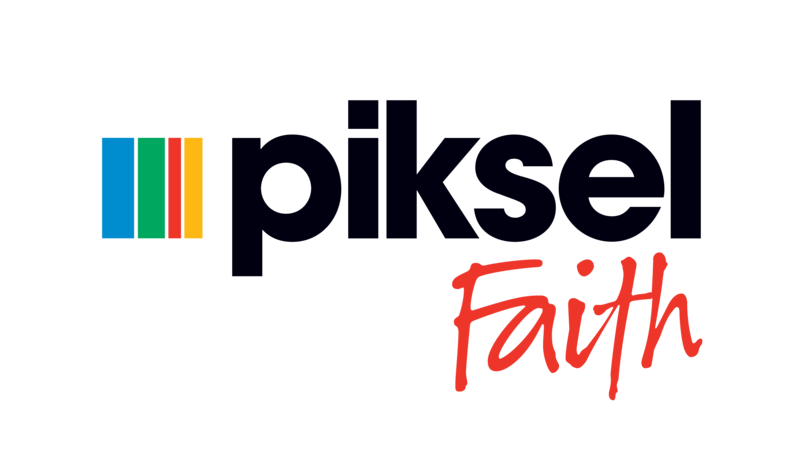 Piksel Faith 137 Piksel Faith is a leading provider of digital media and related services to churches and faith-based broadcasters and organizations around the world. We work with a range of organizations from medium-sized churches to some of the world's major broadcasters. Premiere Digital Services 458 Premiere Digital is an encoding and aggregation vendor. We work with all of the major studios and thousands of independent providers of film and television content in delivering content to digital retailers, broadcasters and end users worldwide. Through our aggregation agreements, we offer a pass-through distribution service to 20 digital retailers (iTunes, Amazon, CableVOD, etc.) without the rights-holder needing their own direct deal with the platform. Our partners get to keep all rights and royalties earned. Prison Fellowship Ministries 628 Prison Fellowship seeks to restore those affected by crime and incarceration by introducing prisoners, victims, and their families to a new hope available through Jesus Christ. We accomplish this by training and inspiring churches and communities—inside and outside of prison. We advocate for a criminal justice system that upholds restorative values, so that communities are safer, victims are respected, and those who have caused harm are transformed. Proclaiming Justice to the Nations, Inc. 337 This event is for Christian Media professionals and PJTN supporters who want to be relevant and honor our Biblical responsibility to the Jewish people and Israel. QNAP, Inc. 625 QNAP Systems, aims to deliver comprehensive offerings of cutting edge network attached storage (NAS) solutions featured with ease-of-use, robust operation, large storage capacity, and trustworthy reliability. QNAP integrates technologies and designs to bring forth quality products that effectively improve business efficiency on file sharing, virtualization applications and storage management in the business environments. 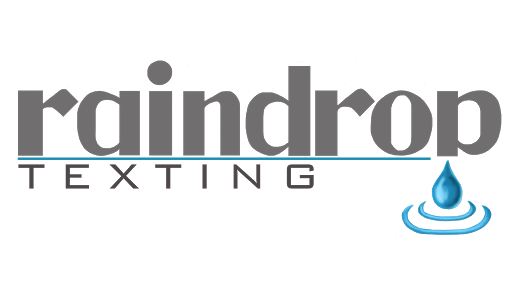 Raindrop Texting Solutions 754 98% of texts are read, with a 30% click through rate (CTR). We are a text message marketing company, focused solely on helping conservative campaigns and causes. Our services are text messaging, text polling, and text fundraising. Texting works. Let us show how we can help you. RCS 729 RCS has a proud history of innovation, currently holding 45 patents in the field of broadcasting. Inventors of computerized music scheduling with the legendary Selector, RCS continues to lead the way with multiple award-winning products such as Zetta radio automation, GSelector music scheduling, the groundbreaking 2GO series of mobile solutions and The Selector Cloud. The most respected names in the industry choose RCS as their software provider because the best use the best. 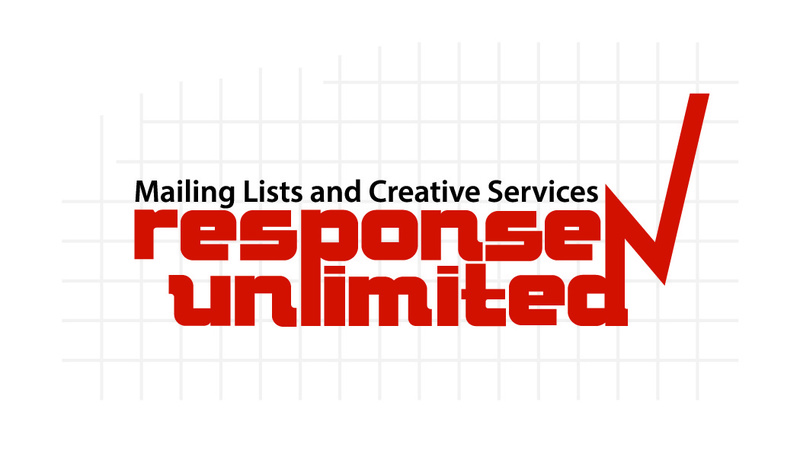 Response Unlimited, Inc. 616 Response Unlimited is the nation's leading supplier of mailing and email lists for both Christian and conservative causes, as well as response-producing creative services and quality, inexpensive production and mailing services. Response Unlimited's full-service clients have received an average Return on Investment from their new donor/customer acquisition of 92 percent, just from the initial prospecting. Come speak to the experts as to how to grow your donor or customer base! Restored Hope Network 229 Restored Hope is an inter-denominational membership governed network dedicated to restoring hope to those broken by sexual and relational sin, especially those impacted by homosexuality. We proclaim that Jesus Christ has life-changing power for all who submit to Christ as Lord; we also seek to equip His church to impart that transformation. Results Business Solutions 872 We are a national marketing and fundraising services firm for ministries, politicians and businesses. RF Specialties of Missouri 637 The RF Specialties Group provides equipment and service for the radio and television broadcast industry. We can provide most everything from the microphone through the tower upon which to hang the antenna. Our associates have many years of broadcast experience and know how to get your project done in a cost effective manner. For over 35 years broadcasters have been saying "RF is Good for you!" Stop by and see why. Rose Publishing, Inc. 324 Rose Publishing, a brand of Hendrickson Publishers, is passionate about sharing the Good News of Jesus Christ and equipping believers to live out the Great Commandment. Rose Publishing creates full-color products such as award-winning books, wall charts, pamphlets, DVD-based curriculum, and PowerPoints®. They are designed for personal, church, small group, and school use, and are packed with easy-to-understand diagrams, illustrations, maps, photos, charts, and time lines to bring Christian teachings to life. 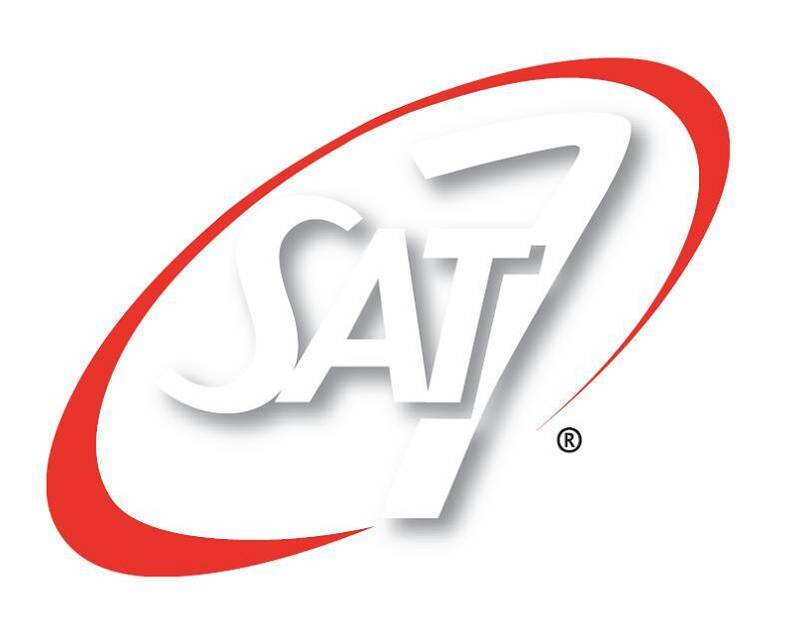 SAT-7 573 SAT-7 is a Christian Middle East indigenous broadcast media ministry broadcasting 24/7 throughout more than seventy countries in the Middle East and North Africa. The network supports 5 channels with broadcasts in the major languages of the region: Arabic, Farsi, Dari, Turkish, Azeri, Kabyle and Kurdish. The ministry’s mission is to build the Church through non-political and non-partisan, biblically based programming, more than 80% of which is produced in the Middle East by Middle Easterners. 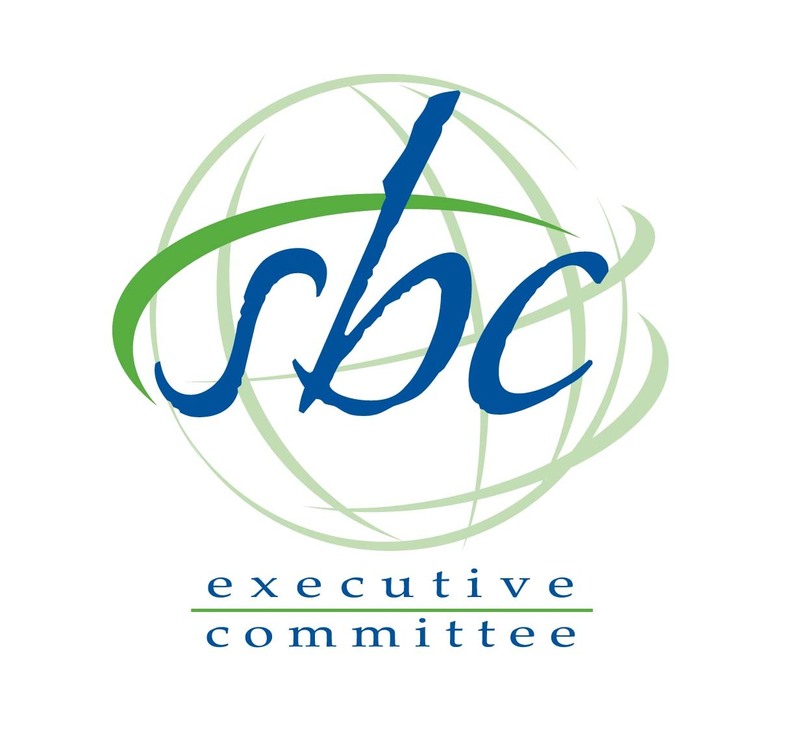 SBC Executive Committee 326 Baptist Press carries news relevant to Baptists and evangelicals. SBC LIFE seeks to inspire and encourage Southern Baptists’ cooperative ministry. Through these and other outlets, we’re celebrating how God is working through Southern Baptists in international missions, church planting, evangelism, disaster relief, theological education, moral advocacy and religious liberty at home and abroad, and more. More importantly, we’re telling the story the world needs to hear—of redemption and transformation through Jesus Christ. SCMS Inc. 417 SCMS is a privately held company that started in 1976. SCMS Inc. has been a family owned and operated company that continues to provide solutions for Radio and TV stations around the world by partnering with leading manufacturers. SCMS understands the broadcast business and have experts to take a project from inspiration to completion. SCMS has 42 years of experience and 18 sales reps and broadcast engineers across the US and Latin America. Sharing International 358 Sharing International is a multi-faceted volunteer Christian NGO, empowering nationals of the developing world in establishing and maintaining local Christian media and humanitarian works through training and mentorship programs led by international volunteer media and medical professionals. Shively Labs 733 Shively Labs manufactures a complete line of FM antennas, filters, combiners and coax components. Shively's unique line of antennas will support multi-station shared sites, complex directional systems and low power translators. Shively also offers a complete array of filter and combiner products designed to be configured for any FM installation. 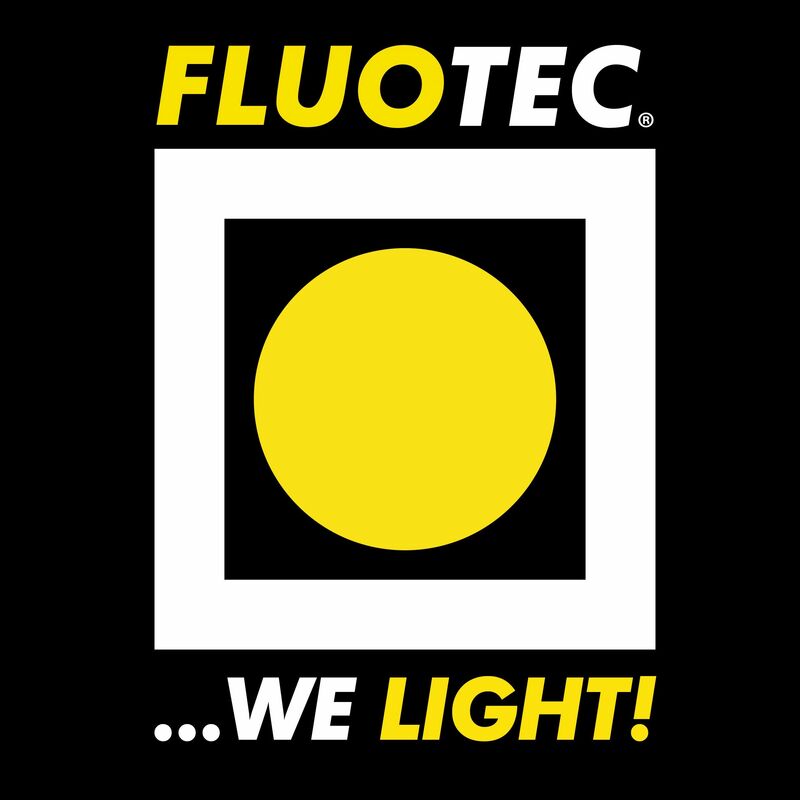 We are an Employee Owned Company and we take pride in everything that leaves our building. Let us help you with your site. SlingStudio 747 SlingStudio™ is an affordable, wireless multi-camera broadcasting platform that helps you capture services and activities for your house of worship in a powerful way. SlingStudio makes it easy to monitor, record, switch, edit and stream live HD-quality video to your congregation to help them stay connected. The simplicity of the platform allows even non-technical congregation volunteers to embrace the technology, which expands your coverage to outdoor events and retreats, youth group activities and more. Staines Movie/SkyPass Entertainment 317 Skypass Entertainment is a Texas-based organization led by Dallas entrepreneur Victor Abraham and a team of professionals with extensive experience in Event Management, Operations, Marketing, Sponsorships, Ticketing and Touring Logistics. 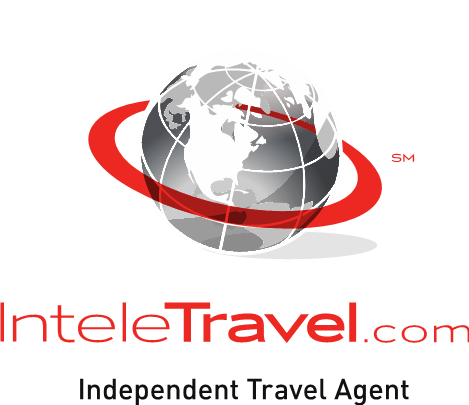 Sister company, Skypass Travel, with offices in Dallas, Austin, Mumbai, Bangalore, Canada, and Mexico has been a leading travel wholesaler and retailer for over 20 years. StowTown Records 737 StowTown Records is the creative home for well-known Southern Gospel and Inspirational artists Ernie Haase & Signature Sound, Wayne Haun, Charles Billingsley, Jody McBrayer, Cana's Voice, The Collingsworth Family, TaRanda Greene, The Guardians, The Little Roy & Lizzy Show, Doug Anderson, Triumphant Quartet, Tim Lovelace, and many more. 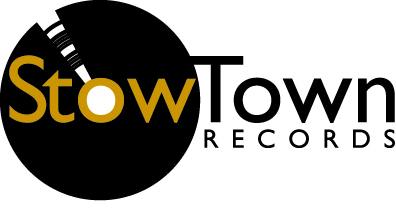 Distributed worldwide through Provident/Sony Distribution, the independent label has garnered industry recognition with multiple GMA Dove Awards and chart-topping releases from its highly respected roster. 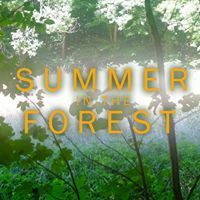 Summer in the Forest 157 "Summer in the Forest" tells the story of L'Arche Communities, founded by French Catholic humanitarian and philosopher Jean Vanier, where people with and without disabilities live together in true community, seeing the value in what we can all learn from each other. The film releases in select theaters in the U.S. the third week of March to coincide with World Down Syndrome Awareness Day on March 21. SuperChannel WACX-TV 517 SuperChannel WACX-TV is an independent full power commercial Christian broadcast television station covering Orlando and all of Central Florida. The “I-4 corridor”, The Villages, theme parks, vacation resorts (70,000+ hotel rooms), UF/UCF schools—all included in this vibrant and rapidly expanding region. SuperChannel’s dominant over-the-air signal saturates this “top 20” national and Hispanic market via home antenna, cable (1.5 million cable homes), DIRECTV, Dish Network, AT&T U-Verse, smartphone/tablets and Internet streaming. Tazpit Press Service (TPS) 558 Tazpit Press Service (TPS) is Israel's news agency, providing articles, photos, and video to media outlets worldwide. 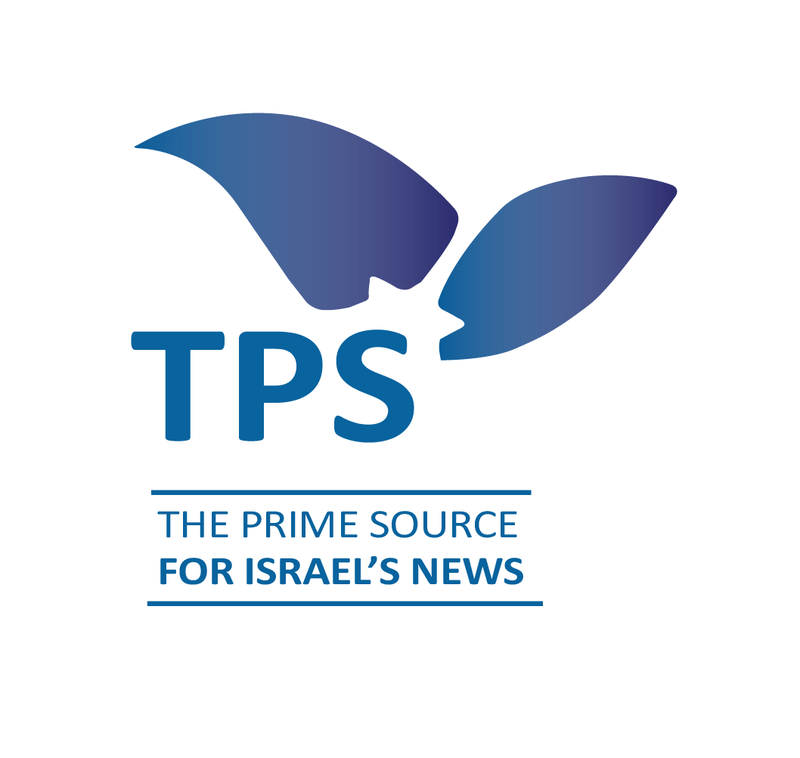 With 250 photographers and journalists across the country, TPS provides the truth about Israel, from the scene, in real time. TBN Networks 427 TBN is a multinational producer, distributor and broadcaster of faith-forward content. TBN's significant record of global faith-based broadcast experience, has allowed them to constantly broaden their scope of projects. The current focus has expanded from solely broadcast into original content, SVOD, kids network, teen network, niche and traditional Christian opportunities. The ultimate goal of TBN is to connect viewers with positive, transformative life experiences. The AMS Agency 228 The AMS Agency is a distributor of award winning specials and programs for syndication. The Heritage Foundation 658 The mission of The Heritage Foundation is to formulate and promote conservative public policies based on the principles of free enterprise, limited government, individual freedom, traditional American values, and a strong national defense. The Justice Foundation/Together for Life Ministries 717 TFL-Our mission to bring education and awareness to the forefront on human development and complications of abortion. TJF-To protect the fundamental freedoms and rights essential to the preservation of American society. The Reconnect with Carmen LaBerge 112 The Reconnect with Carmen LaBerge is a daily Christian talk radio ministry and online resource whose mission is to mobilize every Christian to get off the sidelines and into the cultural conversations of the day in ways that honor Jesus. We create resources designed to help believers fully embrace their identity as ambassadors of Jesus Christ and to equip them to reconnect the eternal to the everyday in conversations in an effective way. 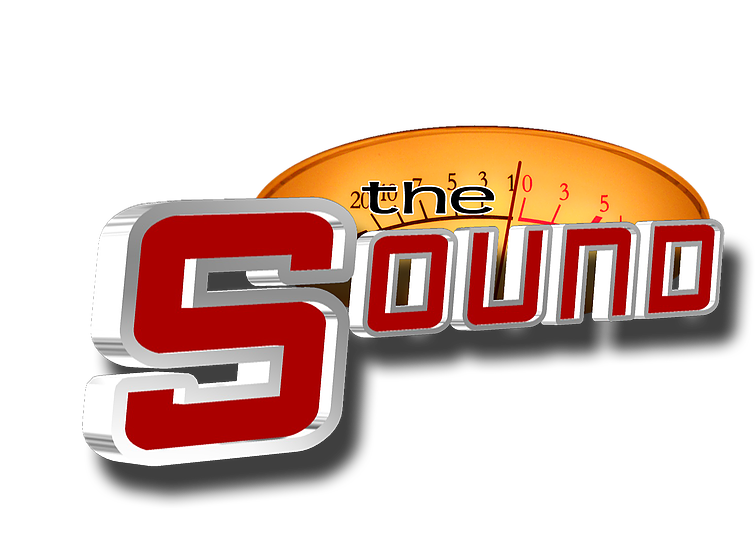 The Sound TV Show and Spectrum Solutions 244 The Sound” is real people bringing their best expressions of worship to a nationally syndicated Christian singing competition. Here, contestants from all genres of Christian Music compete to win a music contract and launch their careers. Performers are judged by Dove and Grammy Award winning artists and viewers at home can also use text voting to help choose the winner. The Voice of the Martyrs 445 The Voice of the Martyrs (VOM) is a nonprofit, interdenominational Christian missions organization dedicated to serving our persecuted family worldwide through practical and spiritual assistance and leading other members of the body of Christ into fellowship with them. VOM was founded in 1967 by Pastor Richard Wurmbrand, who was imprisoned 14 years in Communist Romania for his faith in Christ. His wife, Sabina, was imprisoned for three years. Trail Life USA 321 Trail Life USA is a Christian Outdoor Adventure, Character, and Leadership Program for boys and young men. 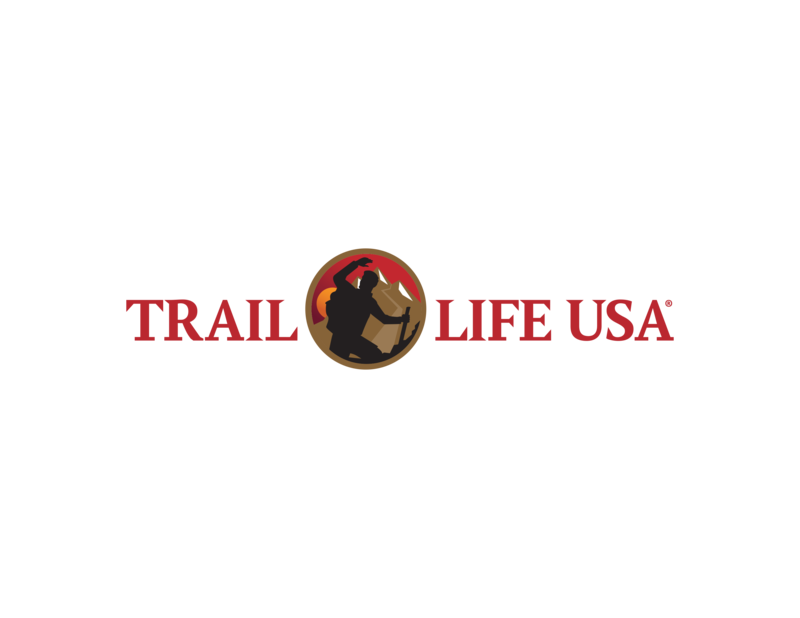 Operating from over 700 Troops that are chartered through churches in 49 states, the K-12 program centers on outdoor experiences that build a young man’s skills and allow him to grow on a personal level and as a role model and leader for his peers. Trinet Internet Solutions, Inc. 759 Trinet is a full service award winning interactive digital media firm staffed with 30 full time domestic in-house professionals. Trinet was founded in 1995 and is headquartered in Irvine, CA with additional locations in Washington, D.C. and Texas. Our values are Christ centered and we specialize in building state of the art digital media, and launching highly strategic e-fundraising and digital advertising campaigns that exceed expectations and generate remarkable results for ministries, churches and para-churches. 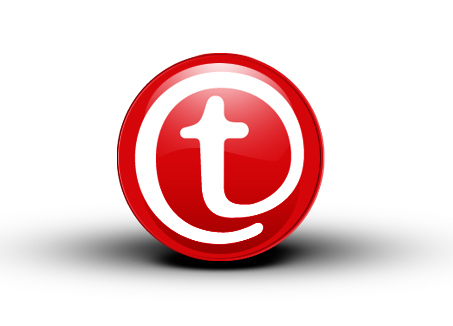 Tulix Systems Inc. 721 Tulix is a premier global video delivery company. We provide end-to-end streaming solutions for live and on-demand video to any screen. Our tools power all your video delivery needs so that you can focus on building your business. 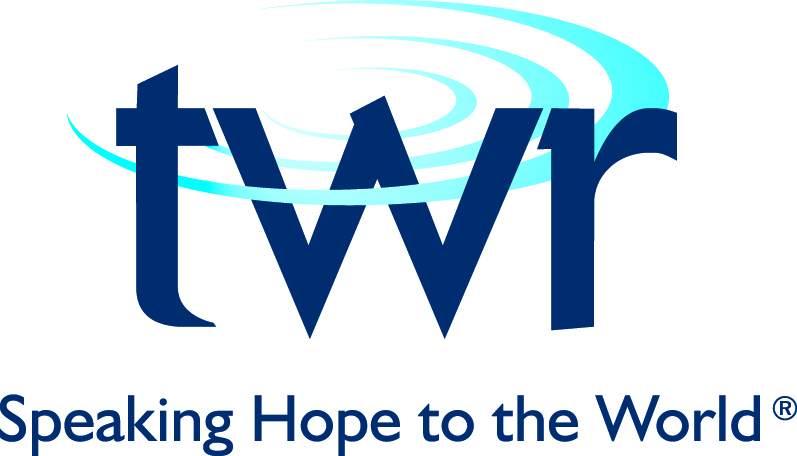 TWR 758 TWR (Trans World Radio) is a global media organization with a vision to reach the world for Christ using mass media so that lasting spiritual fruit is produced. TWR has a multi-media infrastructure that can help you to engage nearly any target audience on the planet with your content. Let's talk! Tyndale House Publishers 531 Tyndale House Publishers is the largest privately held Christian publishing house. Tyndale publishes Bibles, Fiction, Kids, Non-fiction, and Spanish. Tyndale also has alliances with and publishes product for both NavPress & Focus on the Family. U.S. Captioning Company 651 U.S. Captioning Company, a division of Country World Productions, Inc., is an industry-leading provider of closed captioning services for national TV stations, networks, producers, and programmers. Our services cover live closed captioning in English and Spanish. We also provide multilingual Offline/Post production captioning services for a variety of production houses and stations as well as CART services for meetings and conferences. Victor Marx - ATP Ministries 674 ATP Ministries, headed by Victor Marx, is an international organization outreaching to broken youth and families in nations across the globe. Victor is known worldwide for his powerful testimony from abuse and trauma to a transformed life through a personal relationship with Jesus. Vitec 753 Vitec Videocom (an operating division within the Vitec Group) brings together some of the most respected, sought-after and innovative brands in the industry: Anton/Bauer, Autocue, Autoscript, Bexel, Camera Corps, Litepanels, OConnor, Sachtler, SmallHD, Teradek, Paralinx, The Camera Store and Vinten. It acts as an endorsing brand for these market-leading broadcast, movie and pro-video products, encouraging multi-brand system sales and simplifying the way that partners and customers worldwide do business. 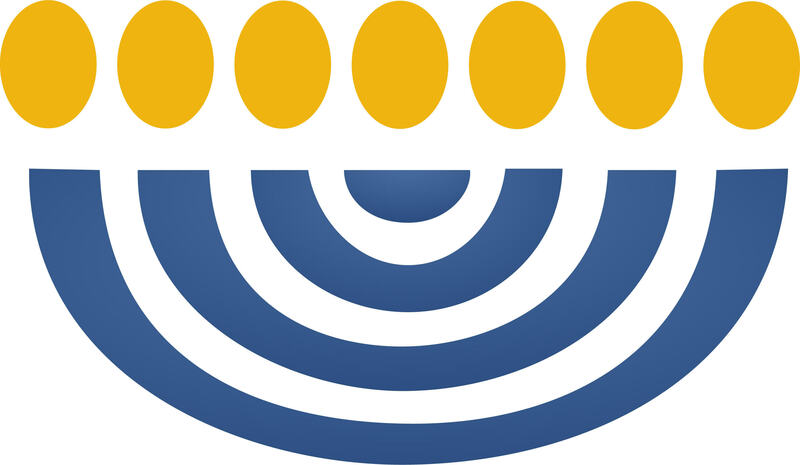 Voice of Judah Israel/Beit Hallel 151 A disciple-making ministry in the heartland of Israel focused on cultivating & planting congregations, reaching out through humanitarian work & carrying revival in the land. Voice of Prophecy 221 The Voice of Prophecy exists to proclaim the everlasting gospel of Christ—leading people to accept Jesus as their personal Savior and nurturing them in preparation for His soon return. Listen to our weekly broadcast, Disclosure or our all-new children's program, Discovery Mountain, at vop.com. Water is Life 159 Water Is Life is active in 44 countries, providing water, sanitation and hygiene solutions to transform communities. We partner with ministries and organizations to provide life saving water filtration. WAVSTAR 456 WAVSTAR is a cloud-based system designed for radio station groups that combines multiple software products on one platform. WAVSTAR includes: Prospect/Client Management (CRM), Sales/Order and Production Management and convenient views for traffic. Order import capability to Natural Log traffic system coming soon! Wedel Software 223 Wedel Software is an international provider of broadcast software solutions. We work with radio, television, and cable organizations around the world to help them effectively manage their advertising schedules and related revenue. We provide a fully integrated suite of solutions that make it possible for you to manage your revenue from initial lead status to completed campaign. Our solutions are modern, easy to use, and fully configurable to meet your specific needs. 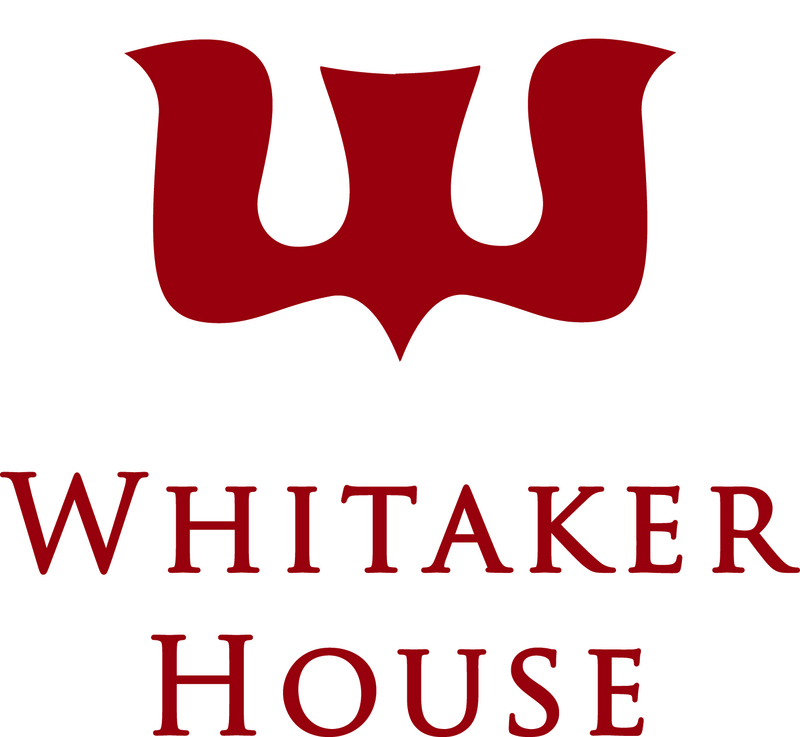 Whitaker House 630 For more than forty years, Whitaker House has been dedicated to proclaiming the gospel to the lost and flooding the world with life-changing literature of eternal value. 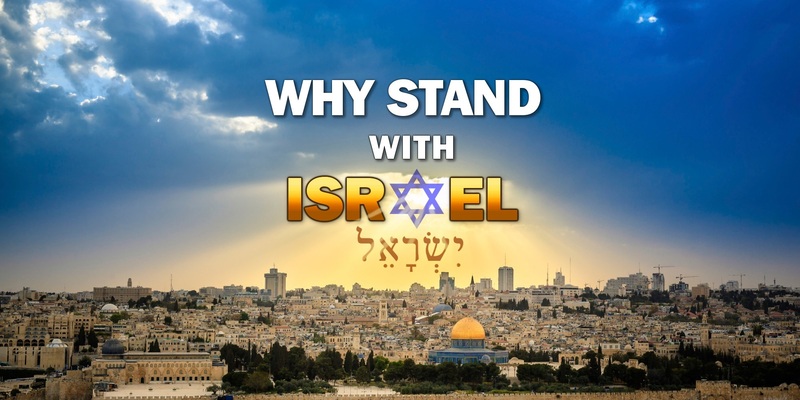 Why Stand With Israel 675 Why Stand With Israel is a 501c3 non-profit ministry that exists to remind the global church of it's Biblical responsibility in Standing With Israel through our time-sensitive documentary film. 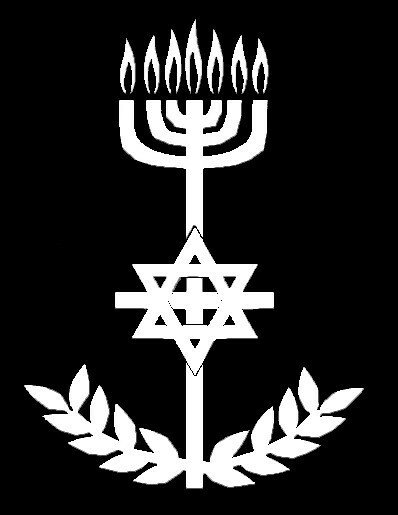 The purpose of the film is to enlighten believers to repent for the anti-Semitic teachings of replacement theology, encourage believers to unite with the Jewish people and Ultimately give Glory to Jesus by the Church's love for the Apple of God's Eye! World Wide Printing 226 WWP produces high quality books and Bibles on paper as low as 28 gsm. We offer soft back, hard back, PVC, PU, bonded and genuine leather covers. We have shipping our Bibles to over 120 countries. Wowza Media Systems 731 Wowza Media Systems™ is the recognized gold standard of streaming, with more than 20,000 customers in 170+ countries. By reducing the complexities of video and audio delivery to any device, Wowza™ enables organizations to expand their reach and more deeply engage their audiences, in industries ranging from education to broadcasting. Wowza was founded in 2005, is privately held, and is headquartered in Colorado. For more information, please visit www.wowza.com. Zelma's Farm 325 Zelma's Farm is a faith and family first publisher that supports the worth and dignity of those created by God with disadvantages. Zelma's Farm provides a proactive multimedia platform to deliver “faith” and “family” experiences to a diversity of audience segments, institutions, and communities. Zoomer Media 450 ZoomerMedia Limited is a Canadian Media company which controls and operates a variety of media outlets primarily targeting the “Zoomers" defined as people in their 50s, 60s and 70s who want to remain socially and culturally engaged and active. 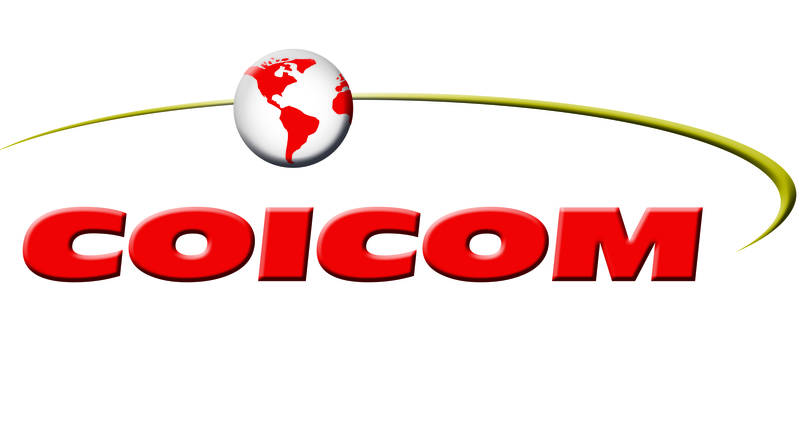 ZoomerMedia owns multiple radio stations, the annual IdeaCity conference, national magazines, exhibitions and television stations, such as VISION TV, HOPE TV and JOY TV. Zoomer Media is the largest provider of Christian programming in Canada.